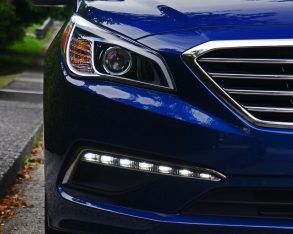 new Genesis sedan is leading the charge, with the boldest statement of premium intention the South Korean company has ever made, not to mention a seriously capable performance oriented luxury car to back up its good looks, so it only makes sense that the mid-size Sonata, Hyundai’s best-selling North American model, gets some similar styling revisions as part of its scheduled redesign. 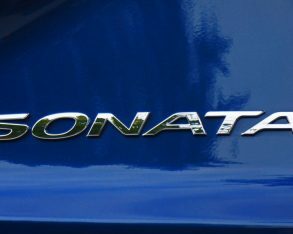 and enjoyable performance throughout its tenure. 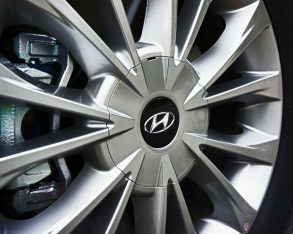 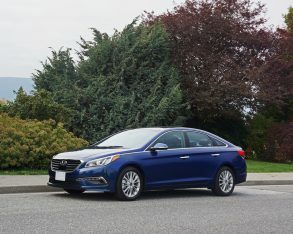 Once again I joined Hyundai for the launch of the sixth-generation Sonata in 2009, and this was the car that truly set them apart from the mid-size masses. 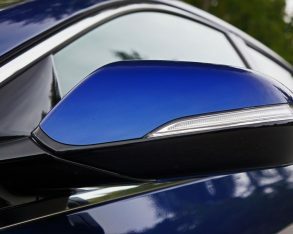 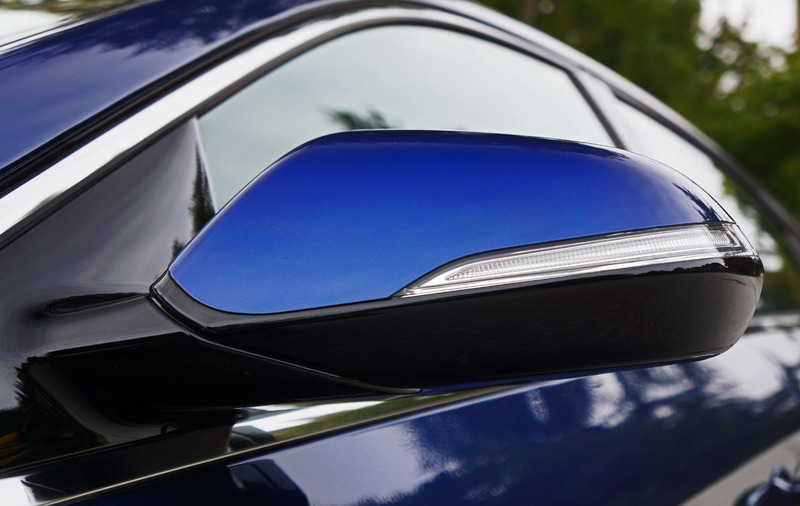 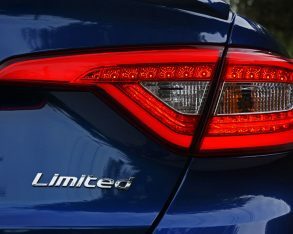 Long, lean and elegantly swoopy, it looked ready to take on Lexus’ ES 350 rather than merely duel it out with Toyota’s Camry and the other mid-sized mainstream contingent, but duel it did, helping to raise Hyundai’s stakes in the its segment considerably. 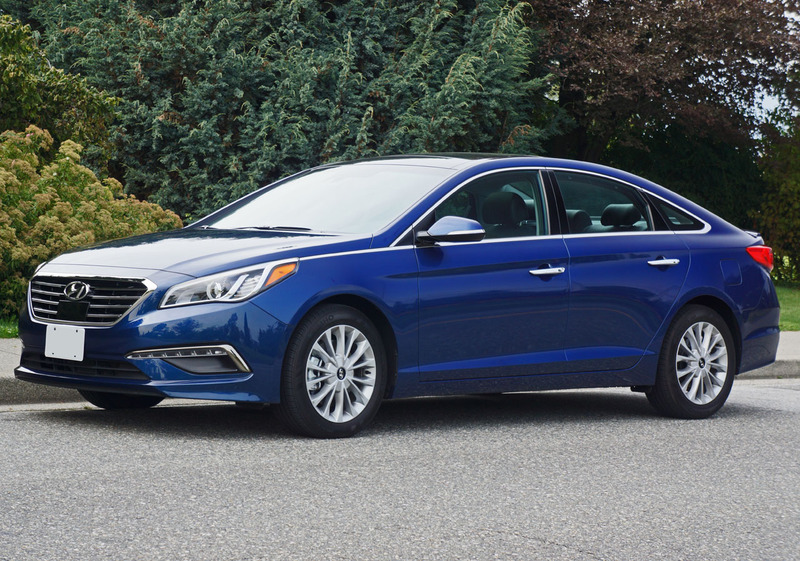 That is the car the new seventh-generation 2015 Sonata replaces, and it’s a hard act to follow. 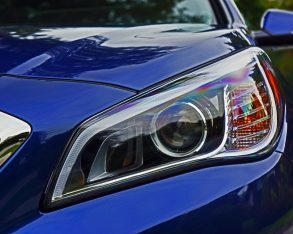 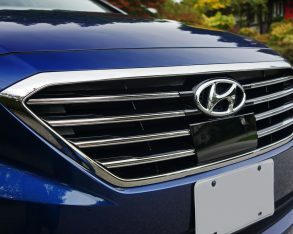 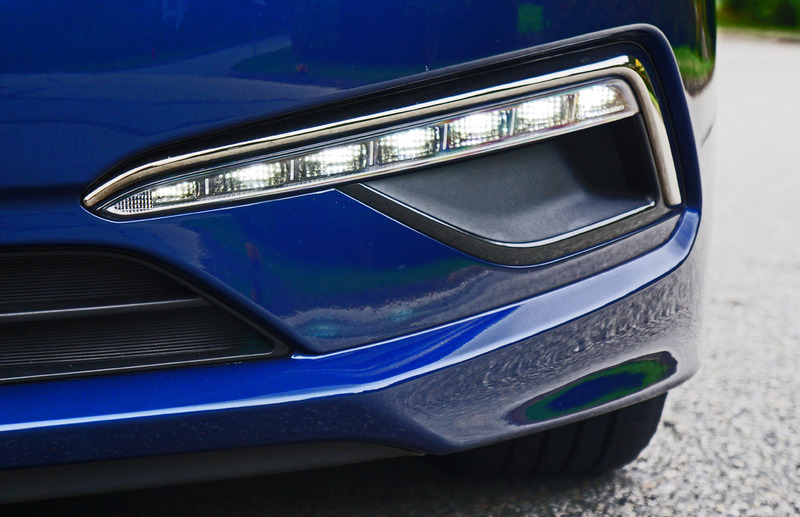 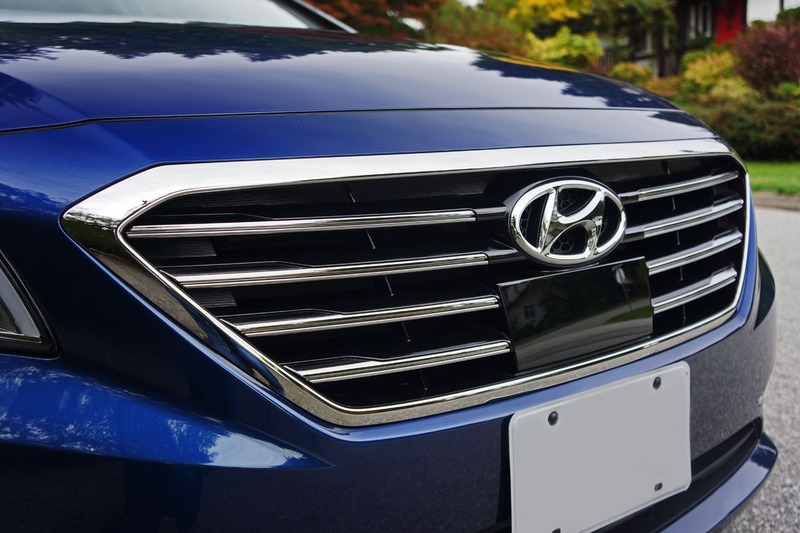 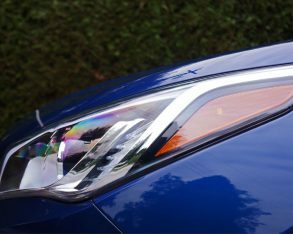 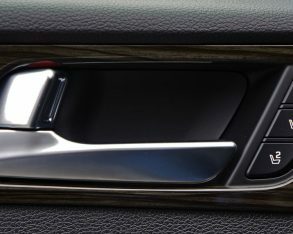 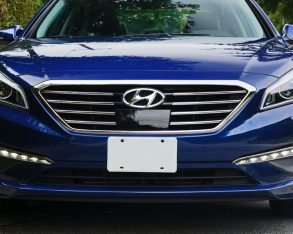 offers up a more common-style trapezoidal grille (or more specifically a rational hexagon as it incorporates two smaller equal sides at its top corners) similar to Subaru’s latest Legacy and Ford’s Taurus. 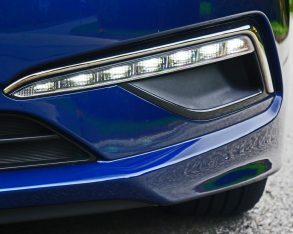 The front fenders still swoop down elegantly to meet the nicely detailed headlamp clusters and stylish LED driving lights just below. 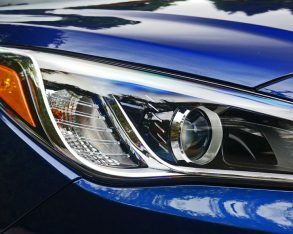 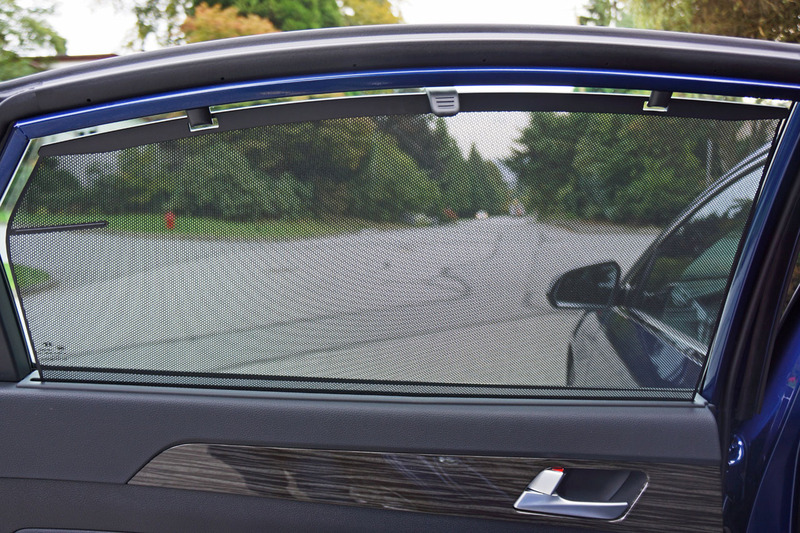 A unique chrome beltline leads off from the rear point of each headlight, along the fender and then into the base of the window trim where it continues its line by wrapping around the entire greenhouse, an unorthodox approach that works very well just the same. 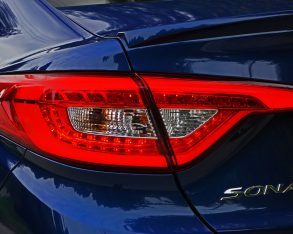 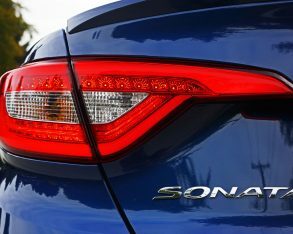 The taillights share nothing with any other car on the road yet look good, finishing off the new Sonata’s rear end design nicely. 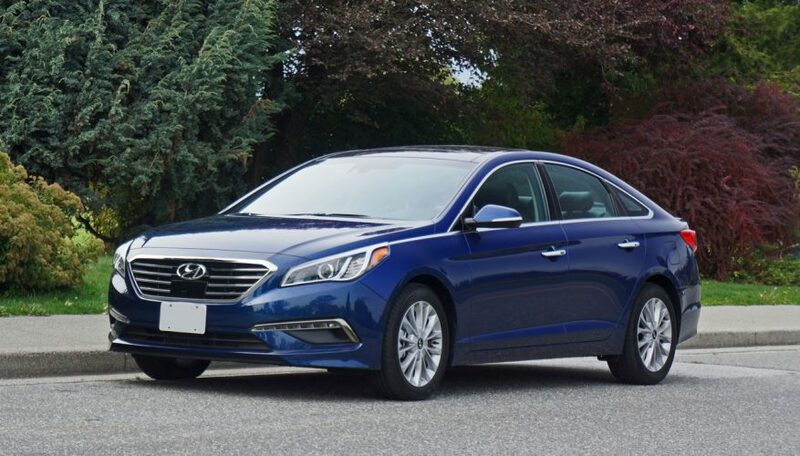 All in all it’s a well proportioned mid-size four-door that should appeal to most who shop in this normally conservative segment. 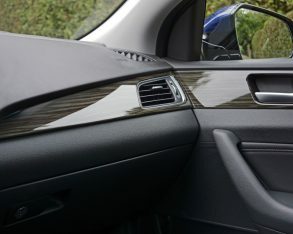 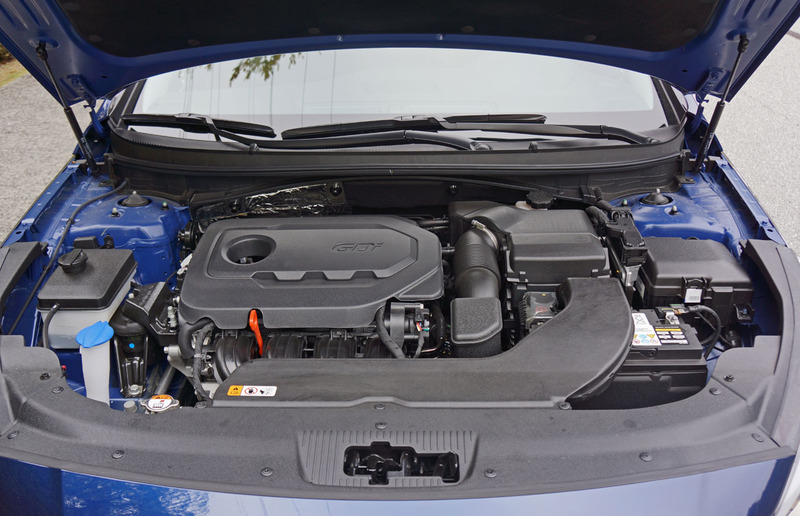 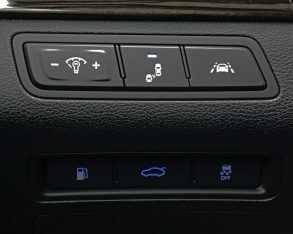 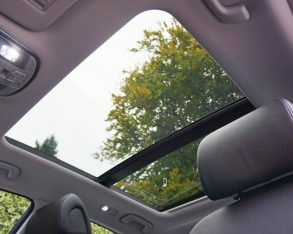 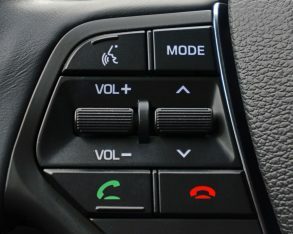 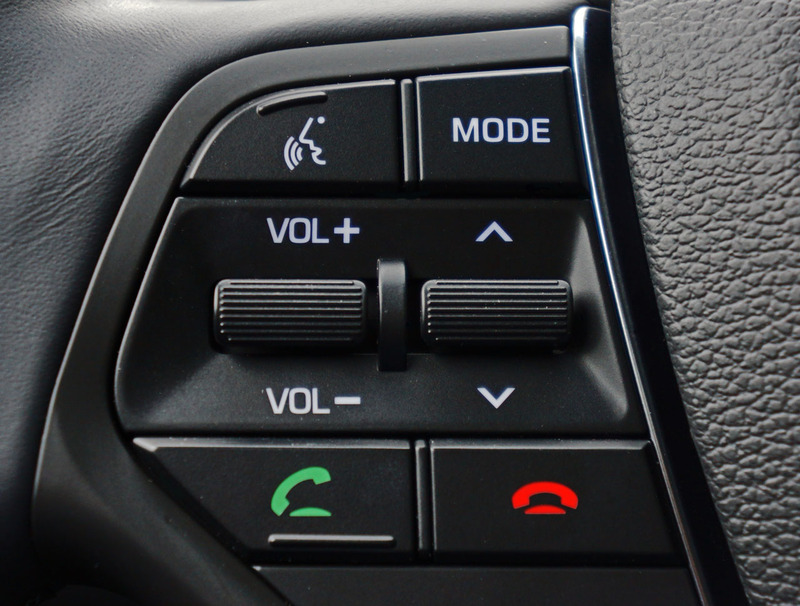 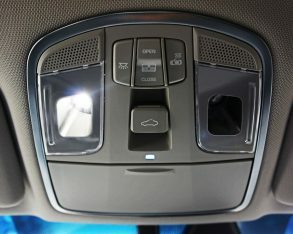 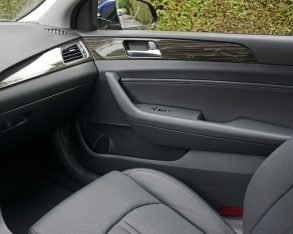 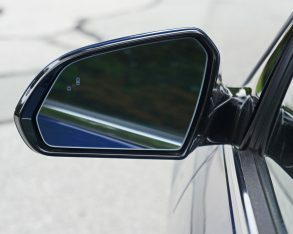 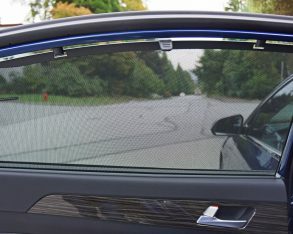 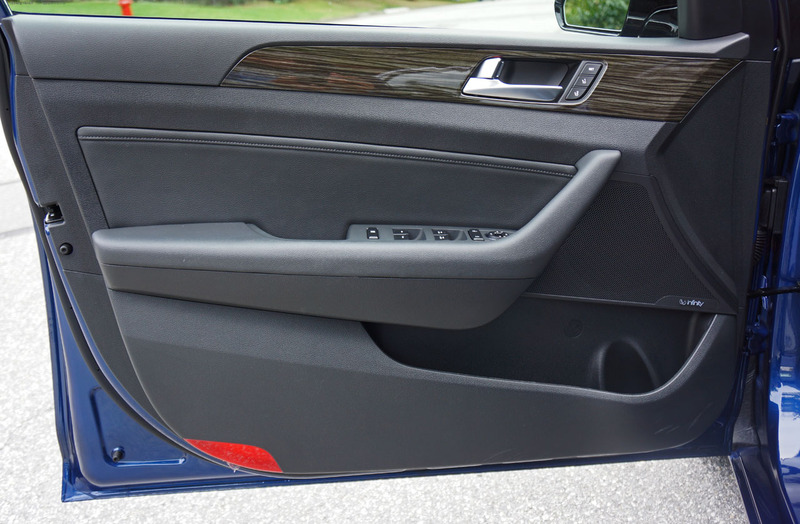 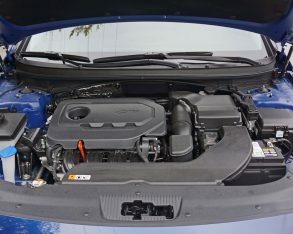 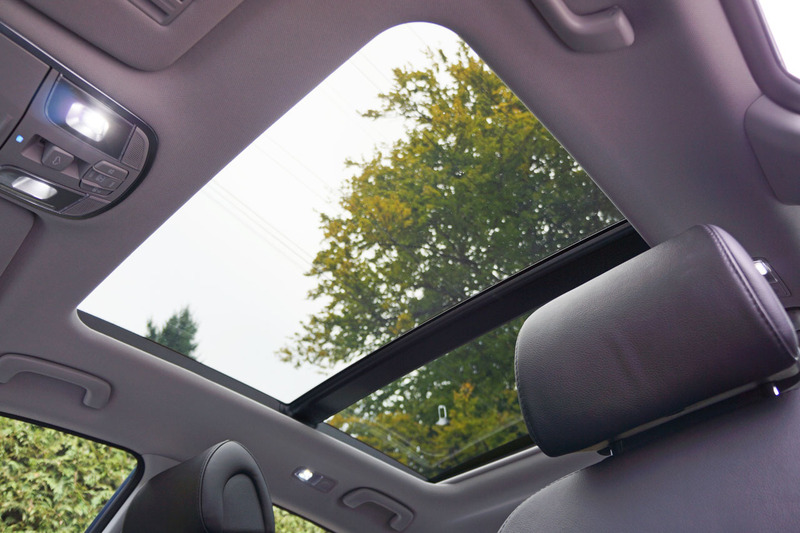 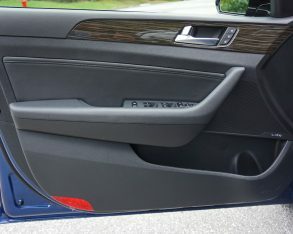 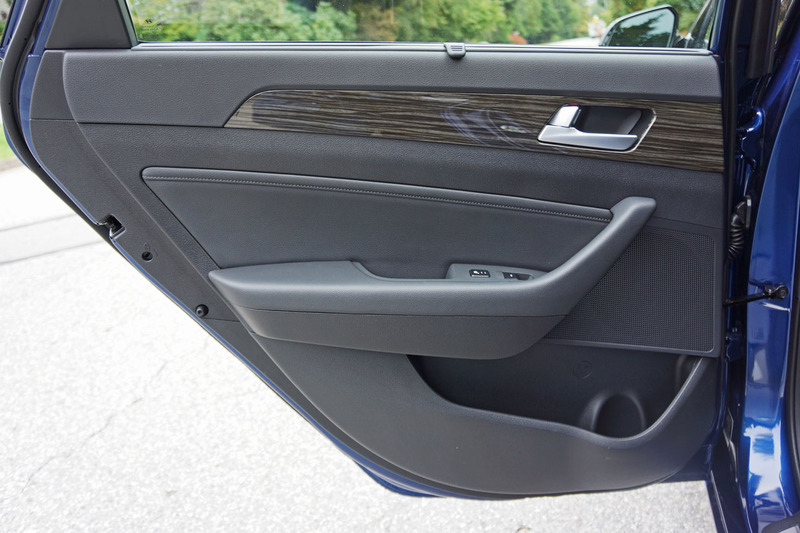 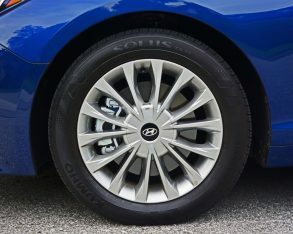 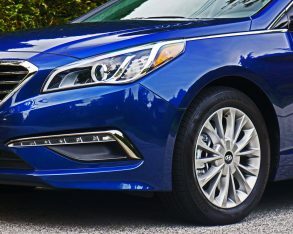 which is also perforated to allow for three-way forced ventilation, a trait the Limited only shares with the Sonata’s aforementioned top-line 2.0T Ultimate. 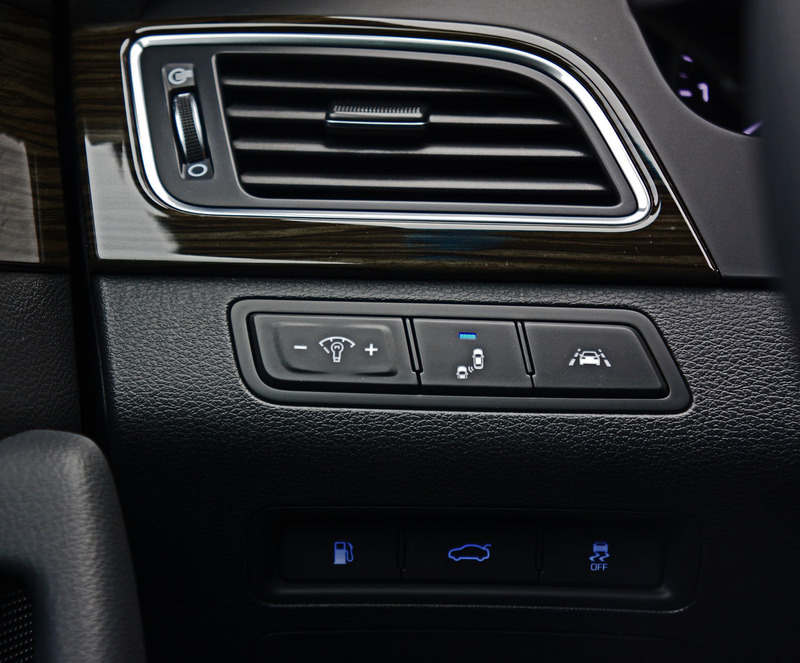 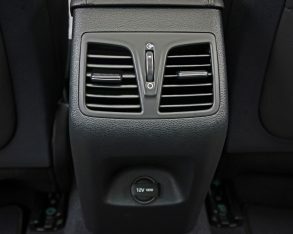 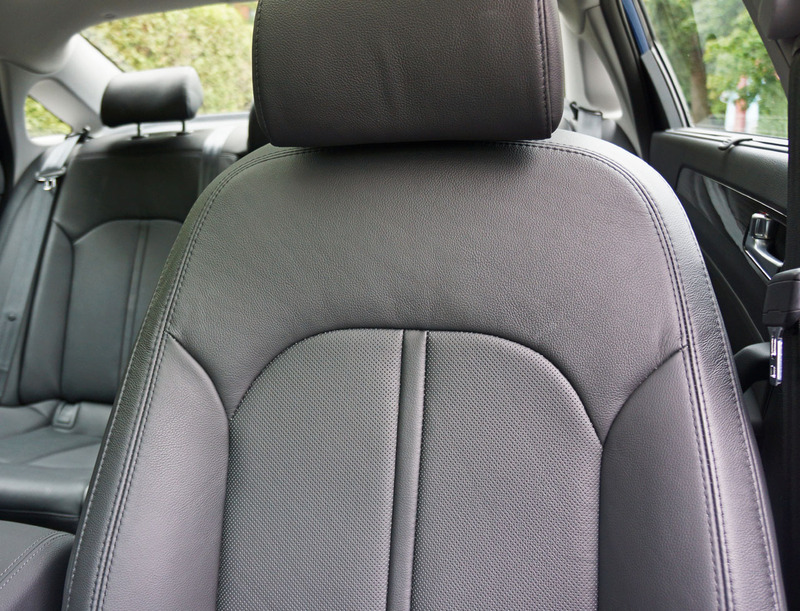 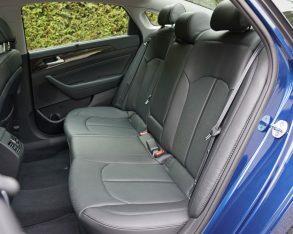 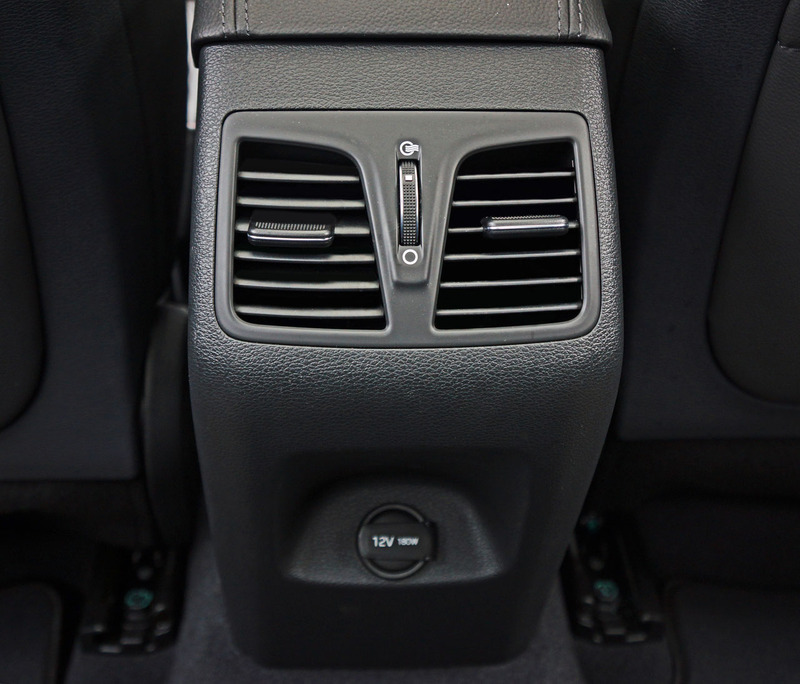 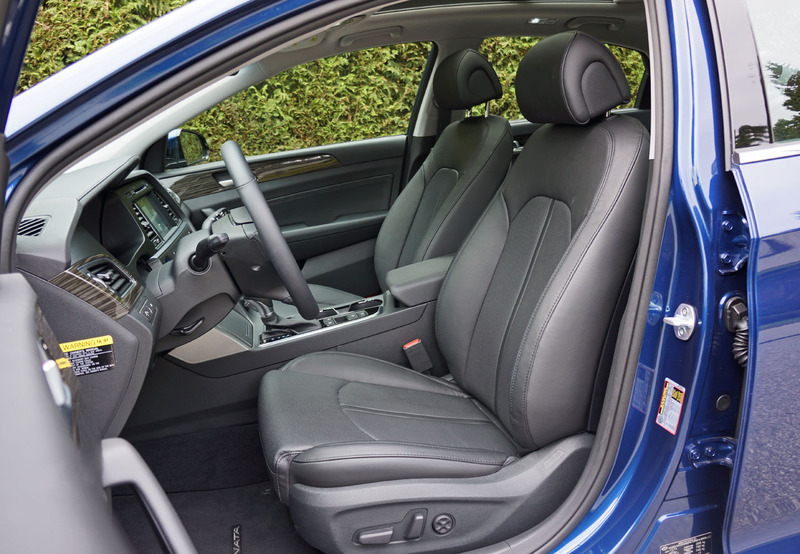 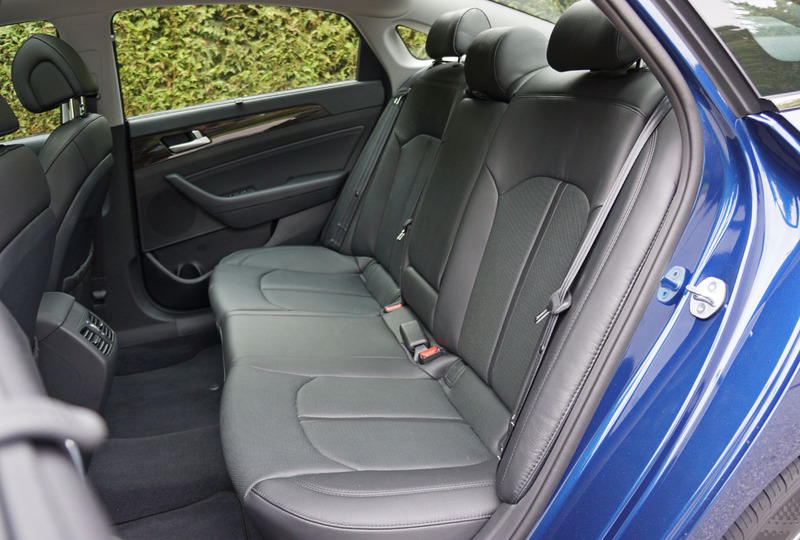 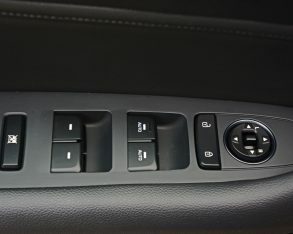 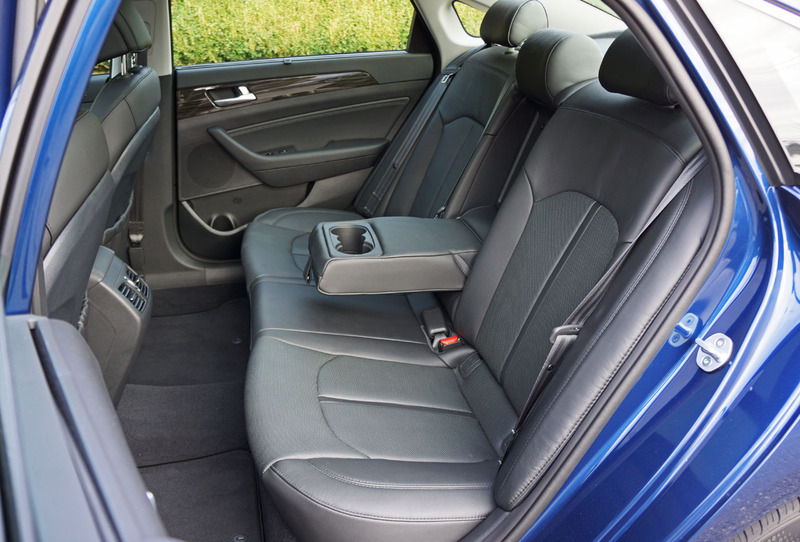 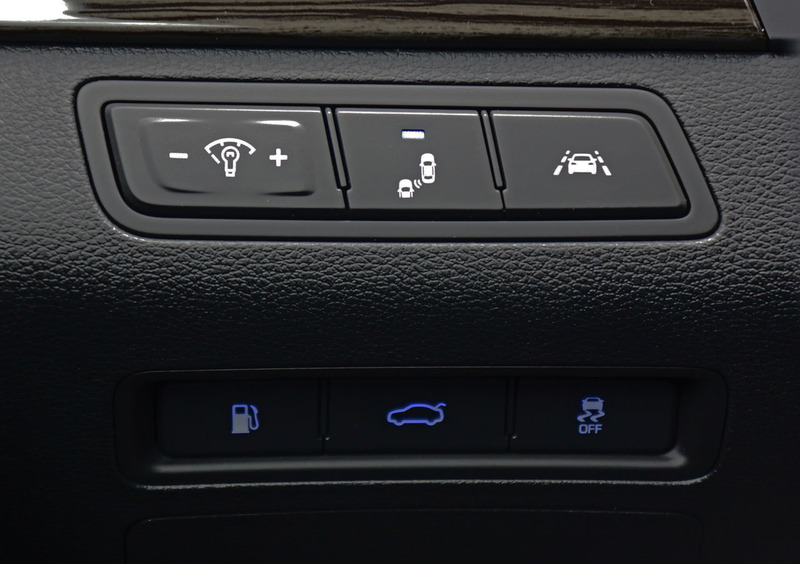 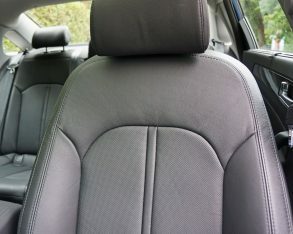 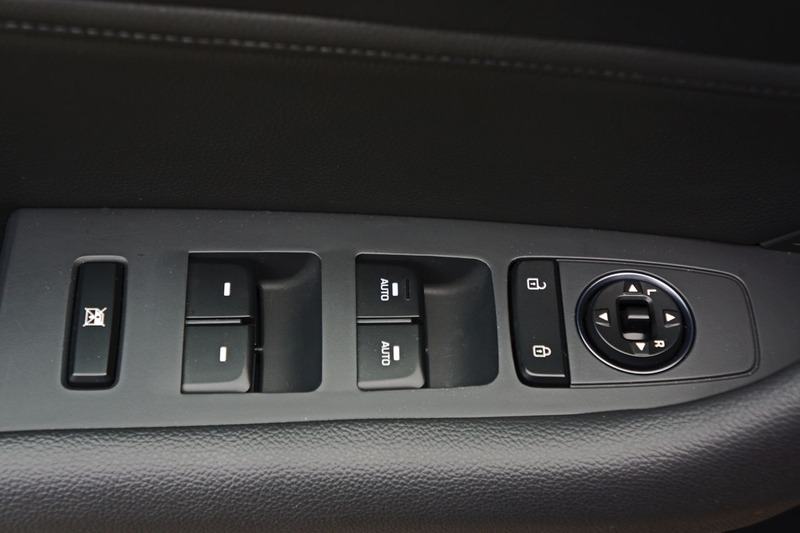 The seats are three-way heated too, standard across the entire Sonata lineup. 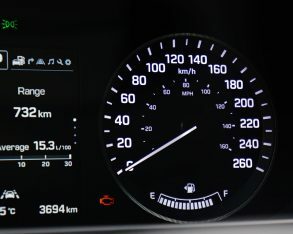 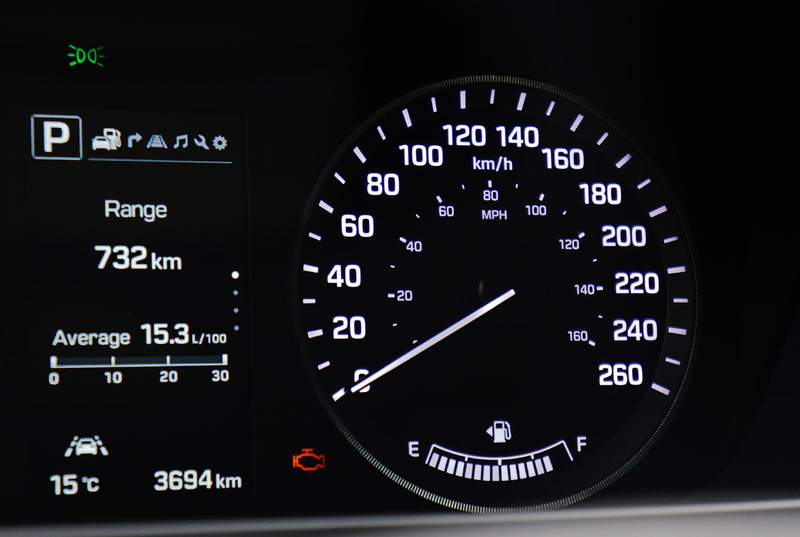 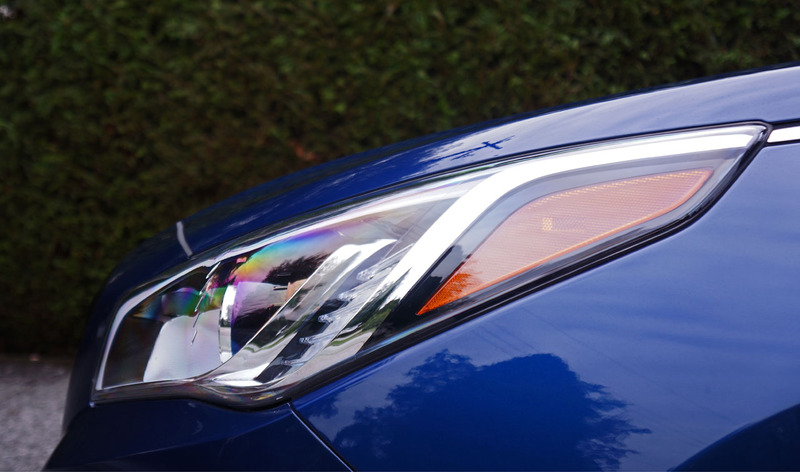 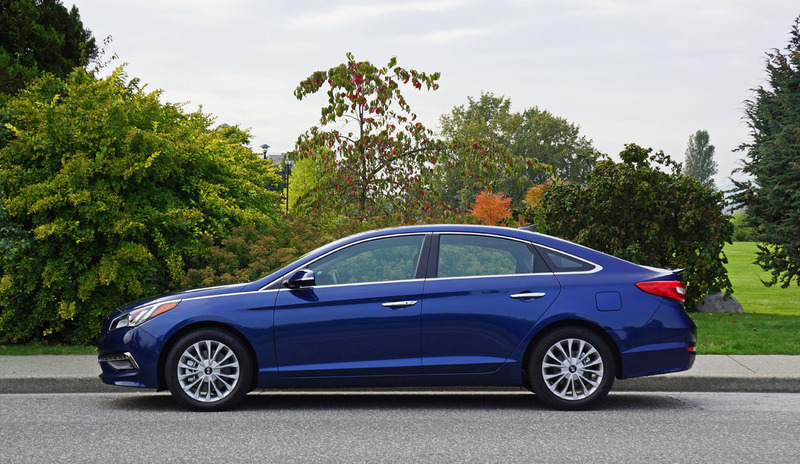 This brings up an interesting point regarding the Sonata’s overall value proposition. 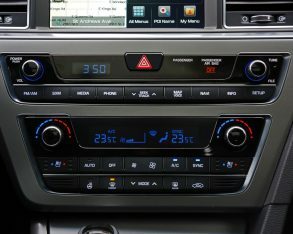 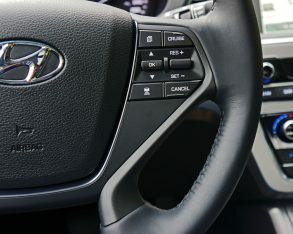 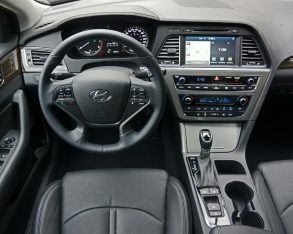 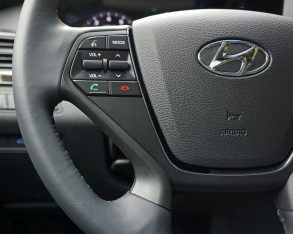 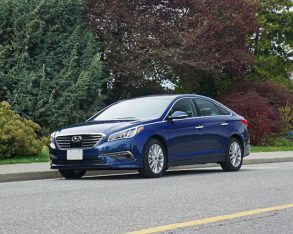 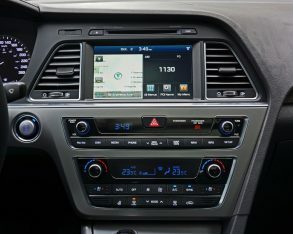 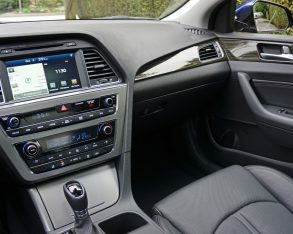 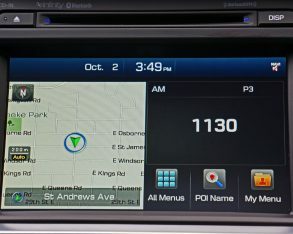 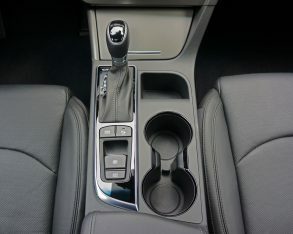 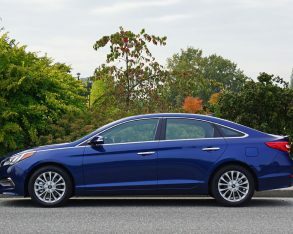 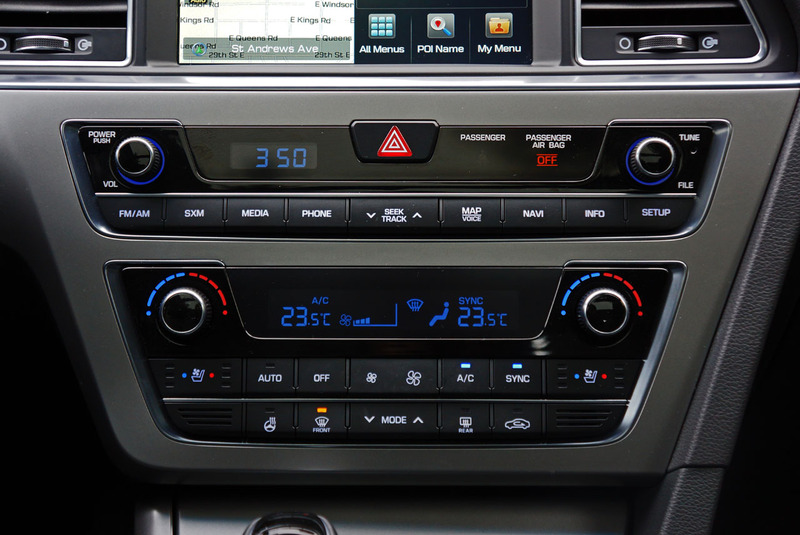 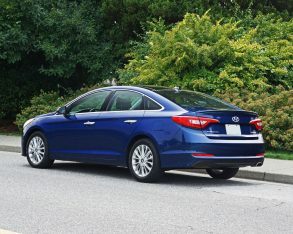 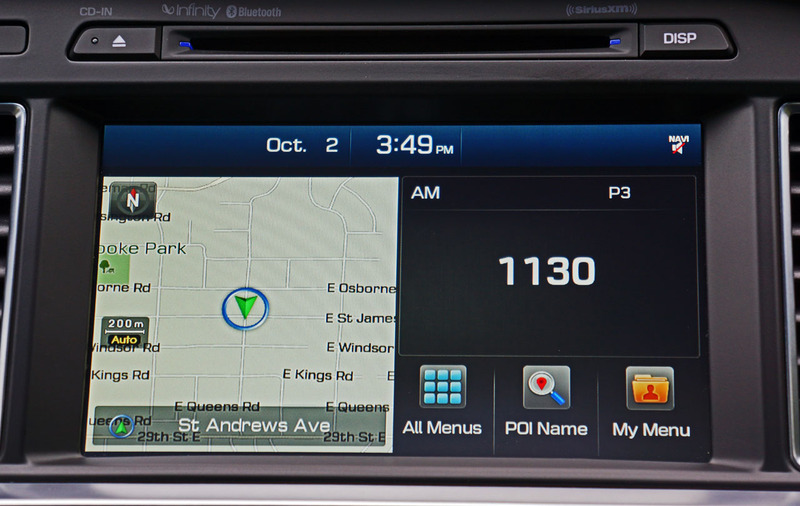 Many items that are extra with competitors come standard in Hyundai’s mid-size offering, such as a display audio system with iPod, USB and auxiliary connectivity, satellite radio, Bluetooth hands-free and a rearview camera system no less, while Hyundai also gives the base Sonata standard Drive Mode Select with Normal, Eco and Sport modes controlling steering, engine, and transmission response. 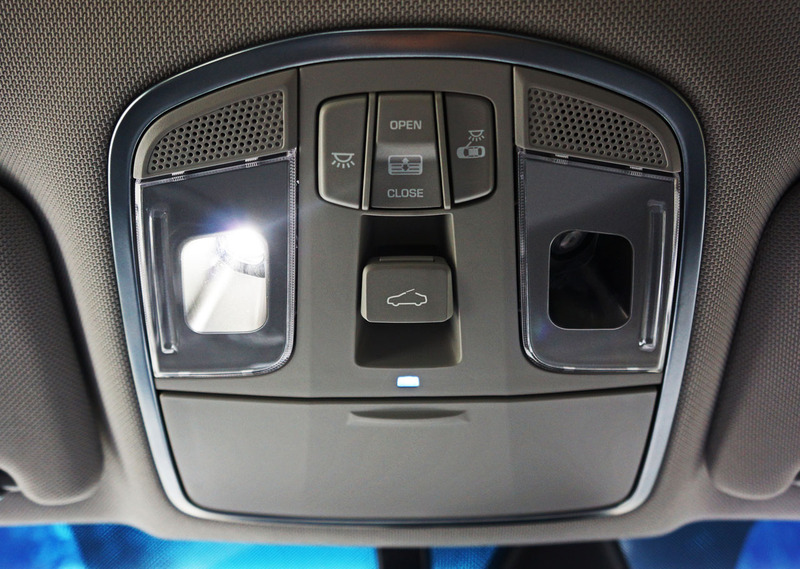 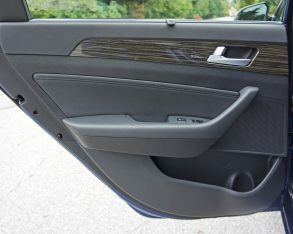 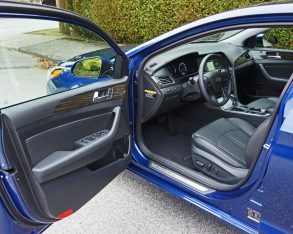 more astounding, move up just one notch to the second-tier GLS and you’ll get nice front door handle welcome lights along with proximity sensing keyless entry and pushbutton ignition, as well as proximity-activated hands-free trunk opening that only requires you to step close to the trunk with key in pocket for a few seconds for it to automatically pop open, plus an eight-way power-adjustable driver’s seat with lumbar support, a heated steering wheel, heated rear seats, rear parking sonar, LED turn signals integrated within the side mirror housings, and Blind Spot Detection (BSD) with Lane Change Assist (LCA) as well as Rear Cross Traffic Alert (RCTA). 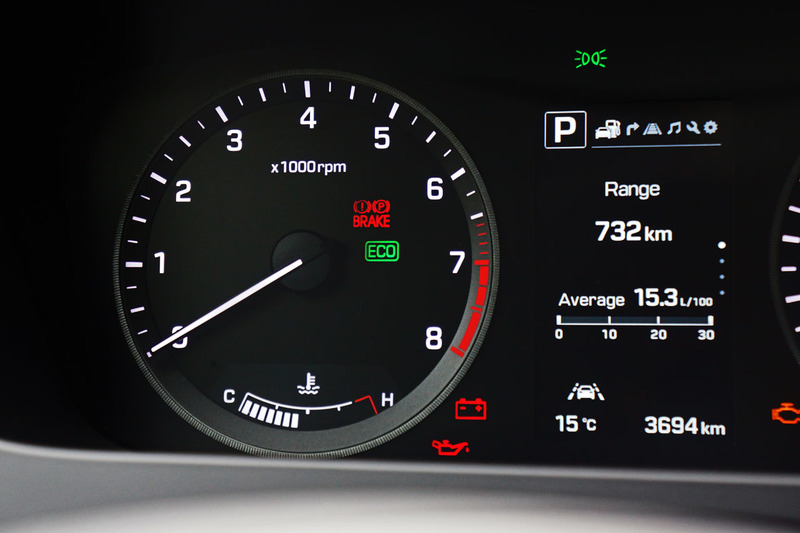 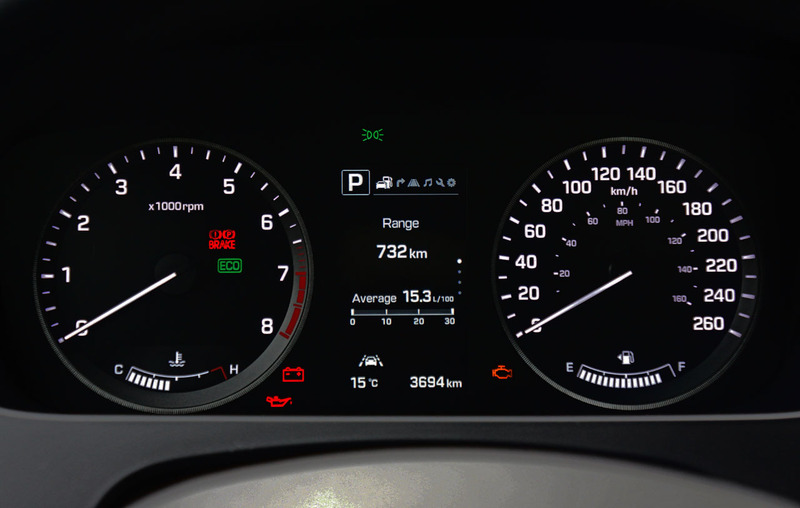 and forward collision warning with the top-line Ultimate. 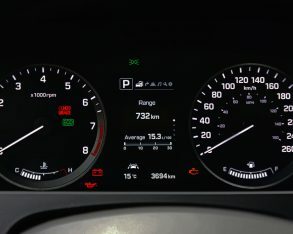 Lastly, items that are only available with the Limited trim model I tested include the woodgrain inlays I mentioned earlier, plus an attractive leather-wrapped gauge cluster cowl shielding a “Supervision” instrument cluster that houses a 4.2-inch TFT LCD display, and finally a nice set of 17-inch alloy wheels wrapped in 215/55R17 all-season tires. 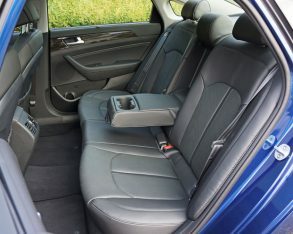 outboard seatbelt pre-tensioners and force limiters, anti-whiplash front head restraints, and seven airbags including one for the driver’s knees. 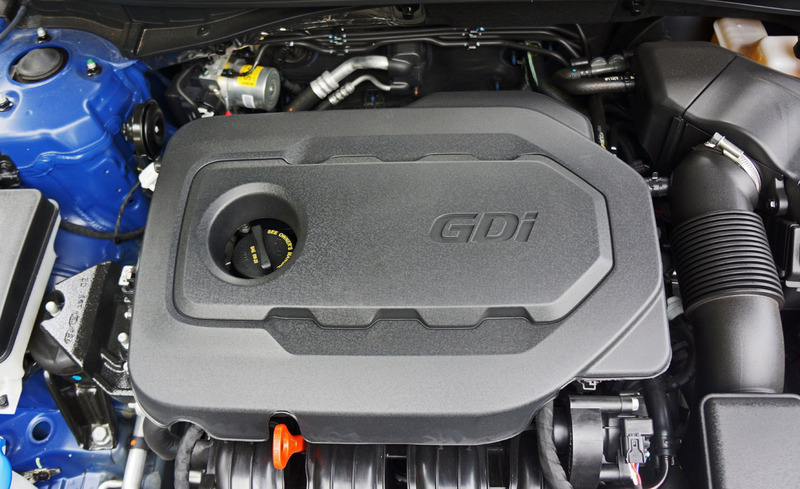 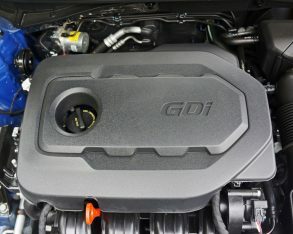 but less powerful 2.4-litre four-cylinder boasting the same direct-injection, dual-continuously variable valve timing and two-stage variable induction technology for a peppy 185 horsepower and 178 lb-ft of torque, plus a fuel economy rating equaling 9.8 city, 6.7 highway and 8.4 combined. 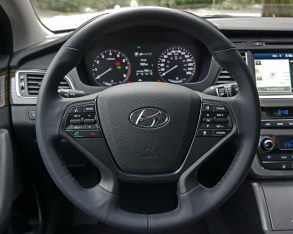 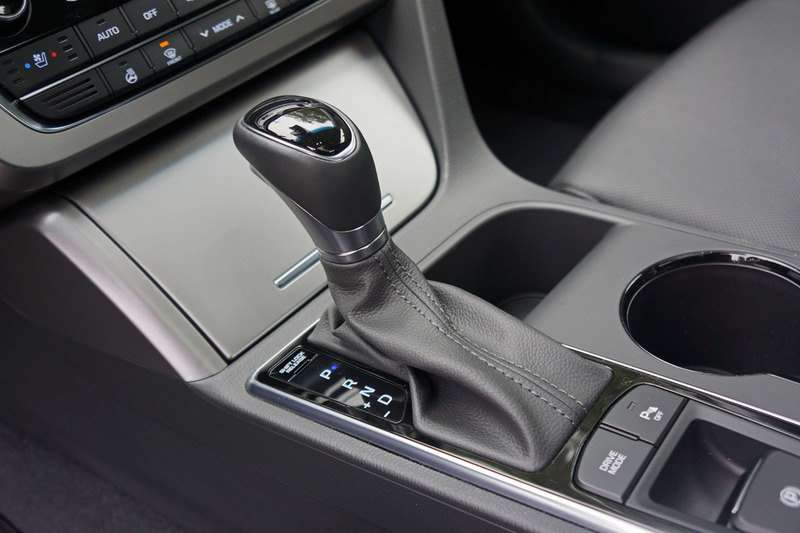 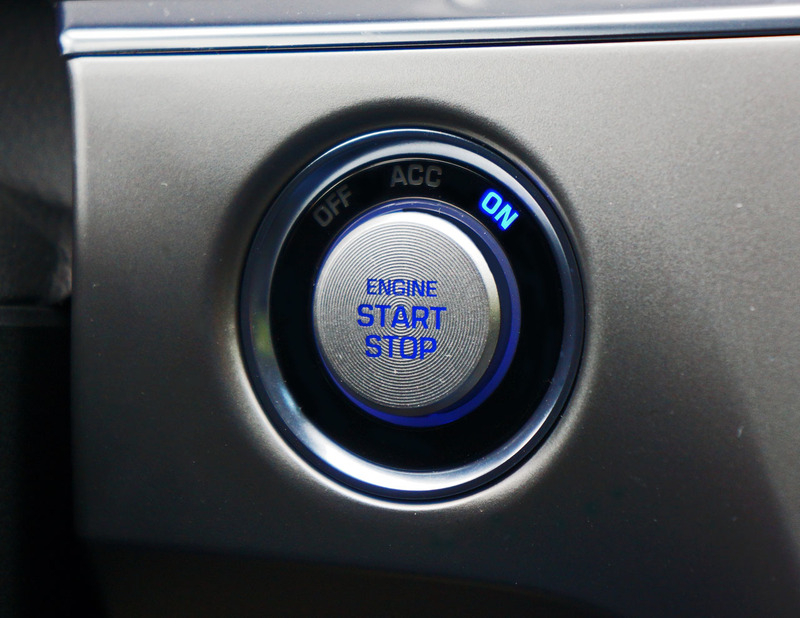 Both engines utilize a six-speed automatic with Shiftronic manual mode that aids in efficiency and performance, fully capable of speedily taking off from standstill, merging into quick highway traffic with confidence and executing quick and positive passing maneuvers. 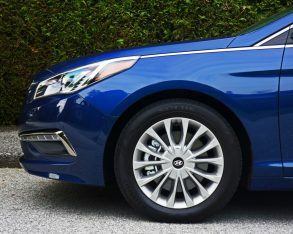 along with a multi-link setup with coil springs and the same branded shocks in the rear, not to mention stabilizer bars at both ends to keep it even keeled in the corners and under braking. 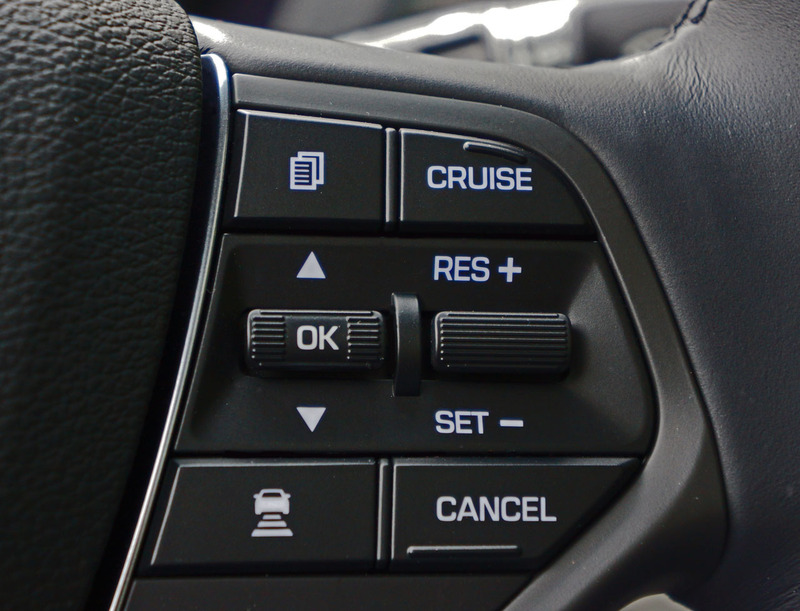 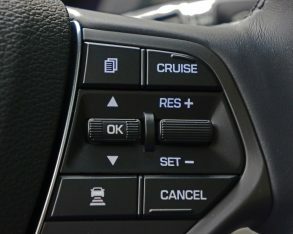 Pressing the “Drive Mode” button on the centre console will either select Eco mode, which won’t help matters from a performance perspective but will help you eke out better mileage, or Sport mode that ups the excitement ante with slightly edgier steering and quicker response from throttle input and gear changes, although if you want more performance I’d recommend you test out the Sport 2.0 or 2.0T Ultimate models that offer the aforementioned power to make the most of the Sport mode setting. 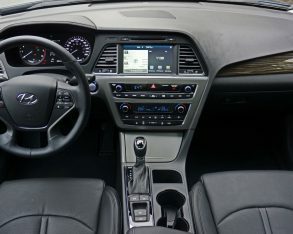 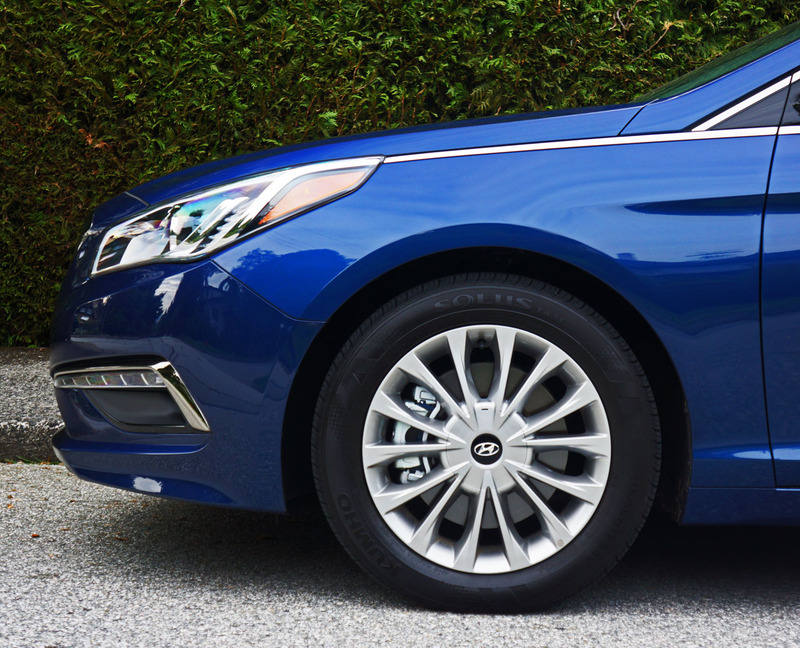 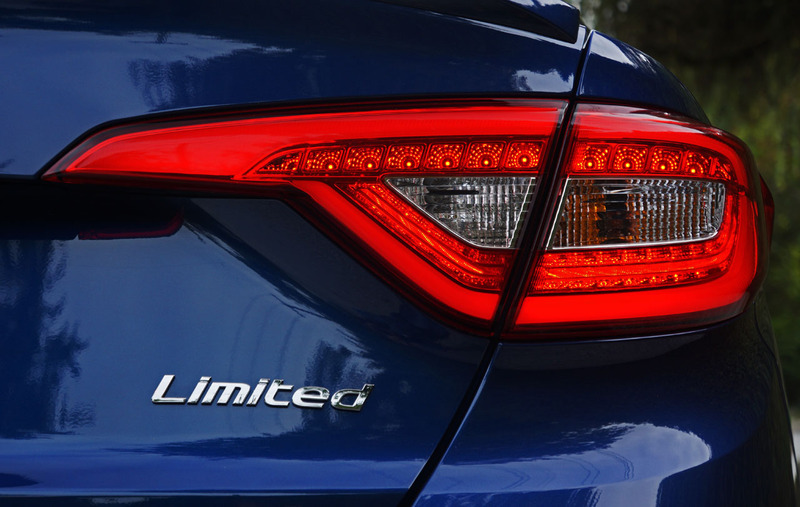 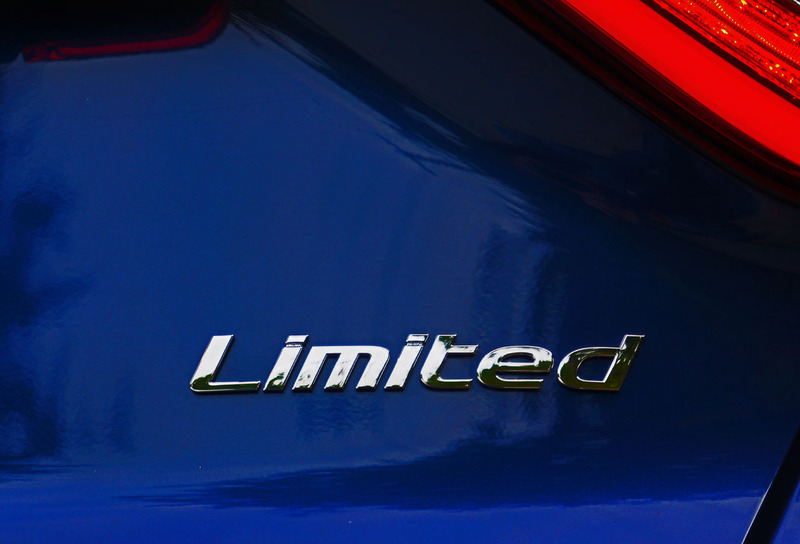 The Limited, takes a more conservative approach to driving, concentrating instead on pampering occupants with all of the aforementioned luxuries as well as the Sonata’s generously proportioned accommodations. 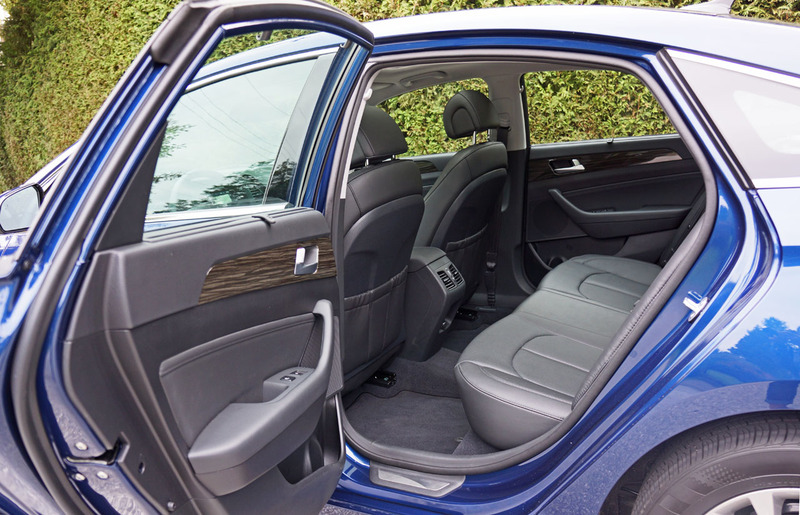 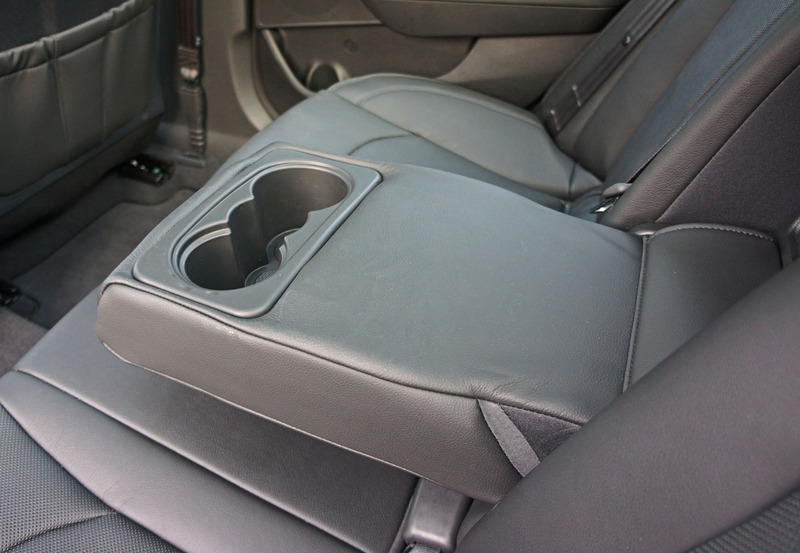 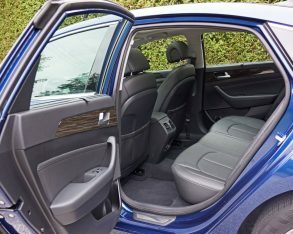 a large mid-size model inside, with ample front seating area and more than enough rear space for three abreast, or two large adults with room to spare in between, although those over six-feet tall might find the back seats a bit tight. 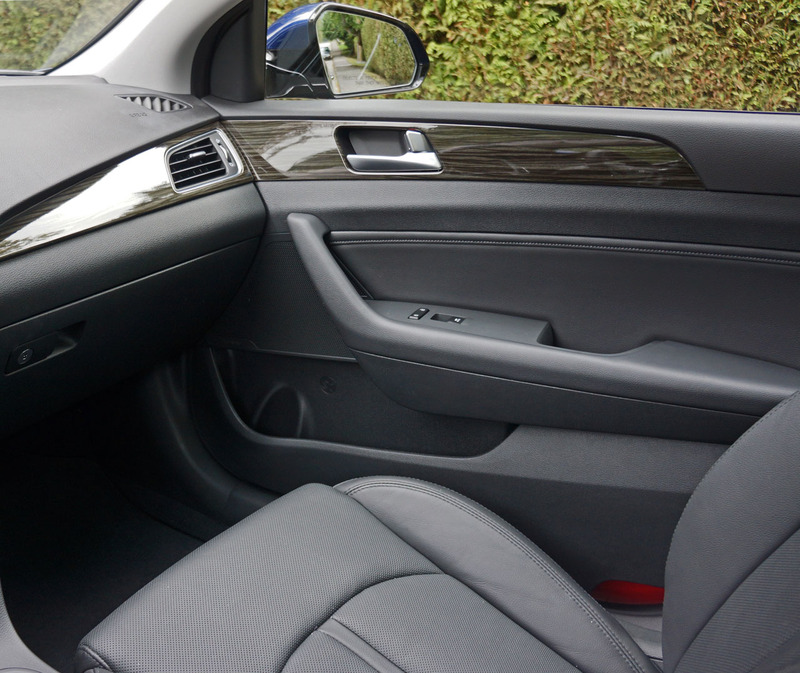 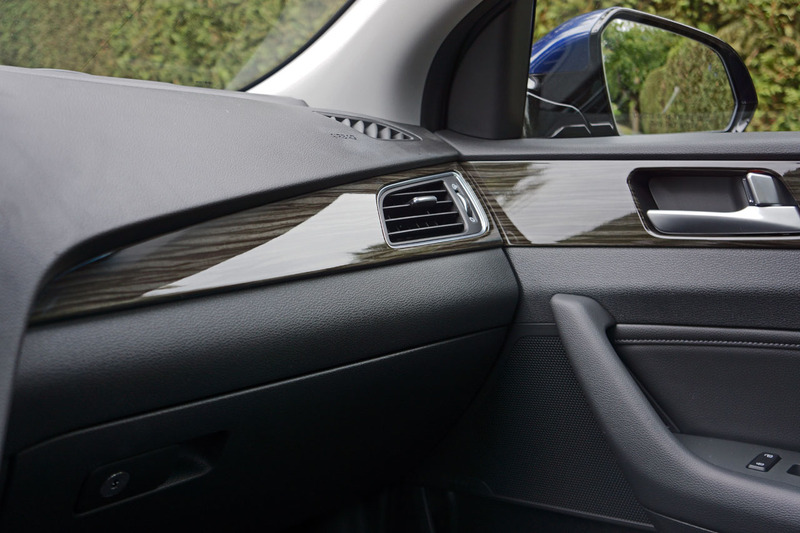 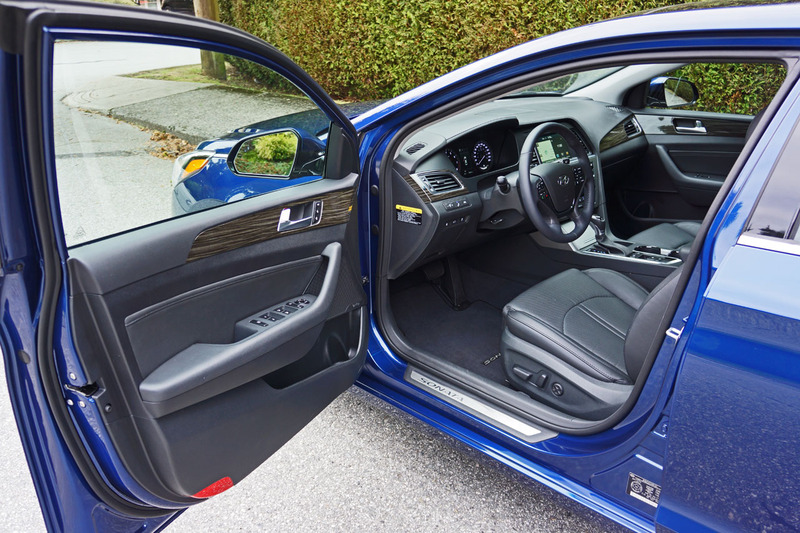 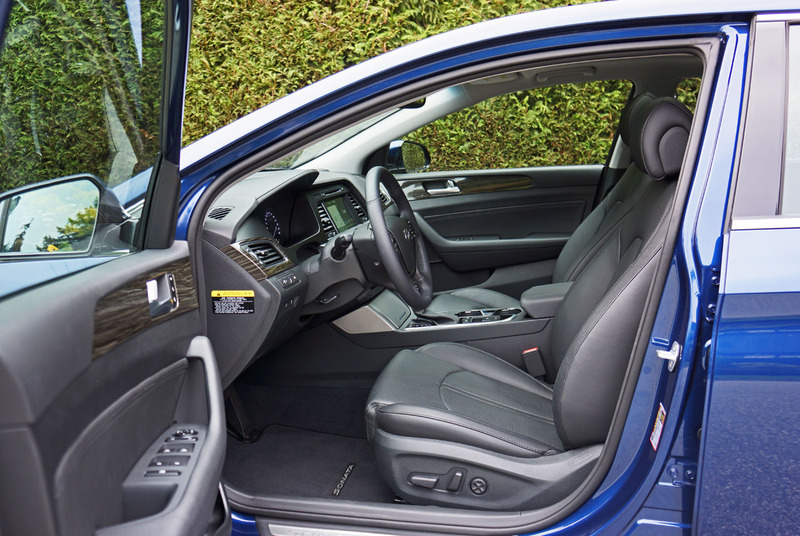 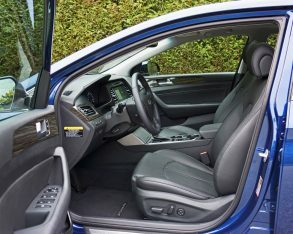 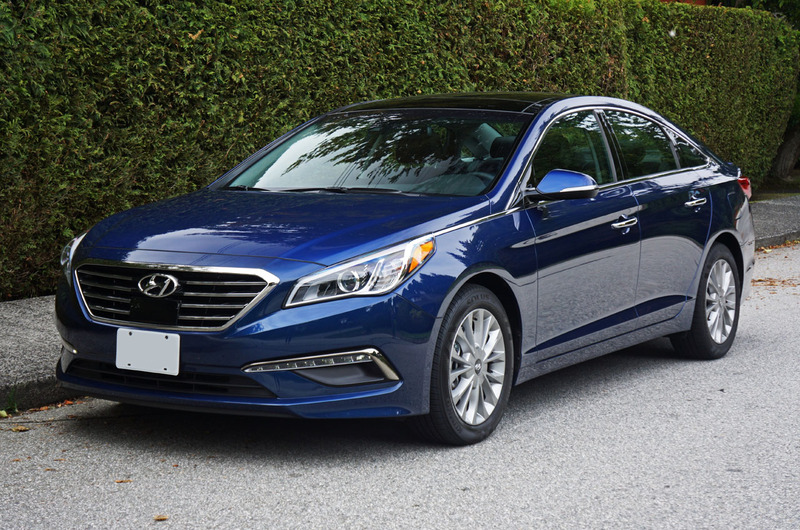 All will appreciate the Sonata’s comfortable ride and quiet cabin, much thanks to excellent insulation as well as a slick 0.26 coefficient of drag, enhancing the feeling of luxury. 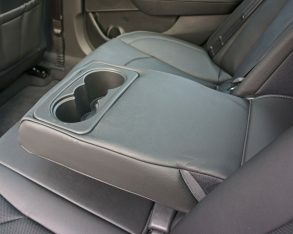 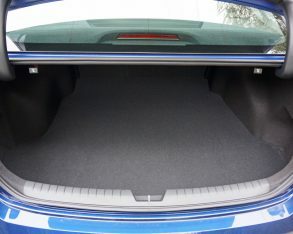 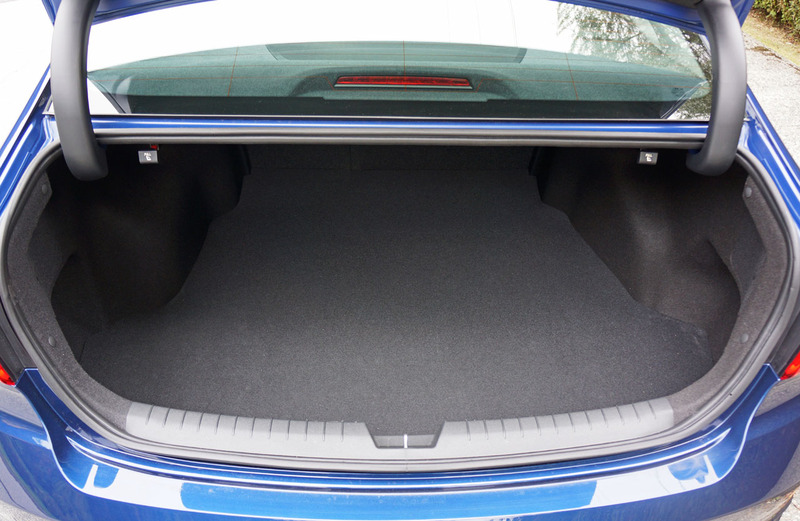 When picking up relatives from the airport or going on that extended trip to see loved ones you can have confidence in a roomy trunk capable of swallowing up 462 litres of luggage, while the rear seatbacks are split in the usual 60/40 configuration for passing through longer items such as skis. 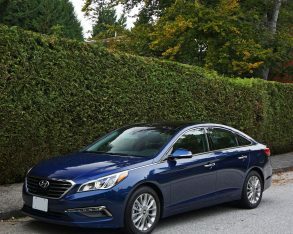 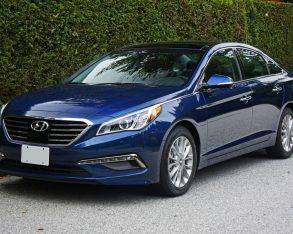 all the Sonata is a very competent mid-size four-door that improves on its predecessor in just about every way possible, and like that outgoing model the new car’s best asset will be its value proposition, as I mentioned earlier. 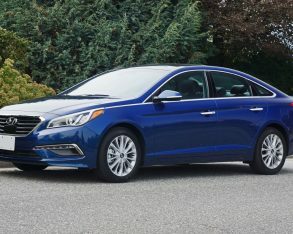 Once again consider the standard features I spoke of before and then factor in that a base Sonata GL starts at a very approachable $23,999 plus $1,695 for freight and pre-delivery prep. 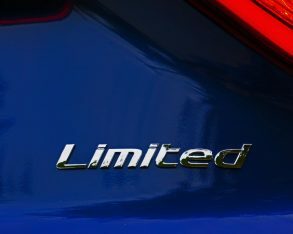 My Limited edition tester moved the price up to $32,999 plus freight, but again the value this model delivers for the money expended is tough to match. 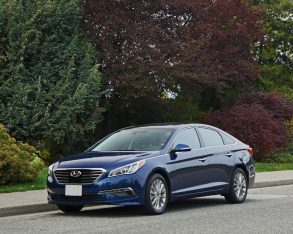 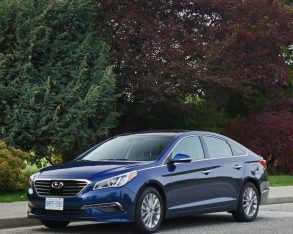 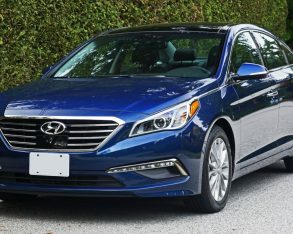 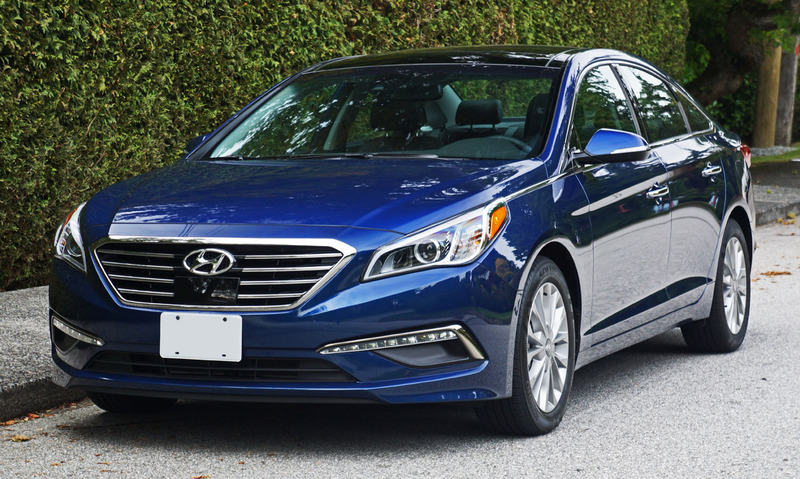 In the end, if Hyundai intends to raise the Sonata’s game from its sixth-placed standing on this year’s North American mid-size sedan sales chart (the Chevy Malibu is within close reach), this is the car to do it. 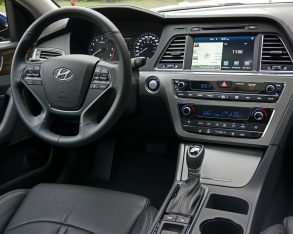 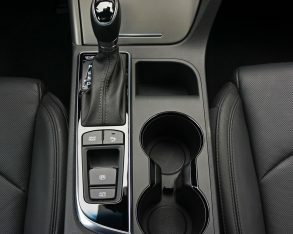 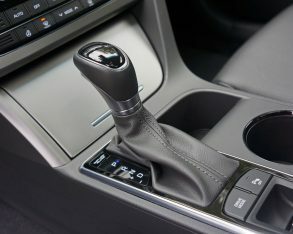 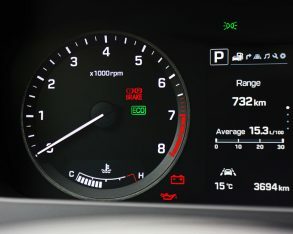 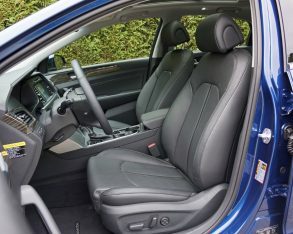 Its styling should appeal to a broader audience, its fuel economy has improved, interior refinement is above par, technology levels move the car into this new era of connectivity effectively, and all other elements are a step in the right direction, while it offers some of the best value for money out there including one of the best comprehensive warranties in the business. 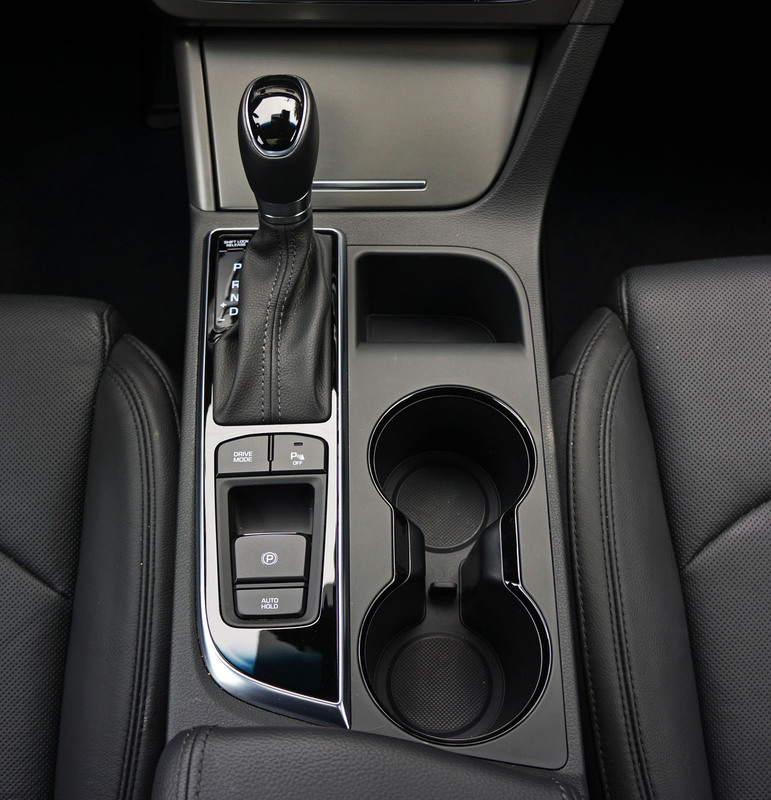 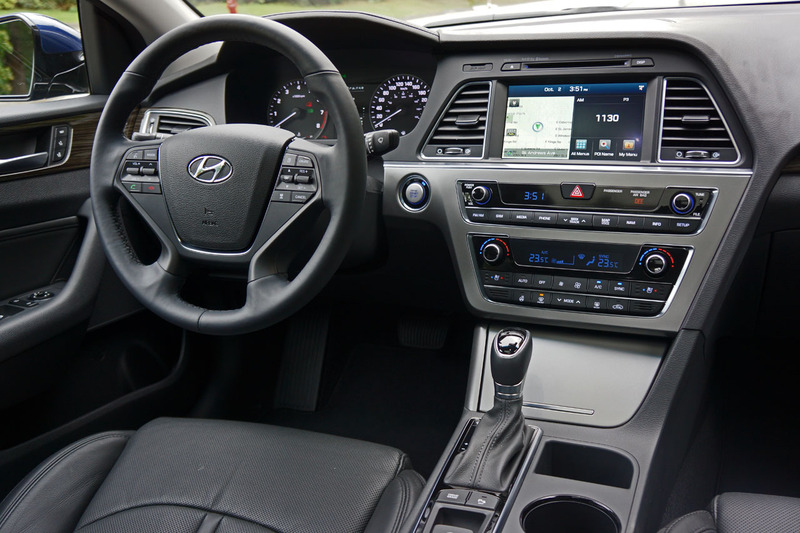 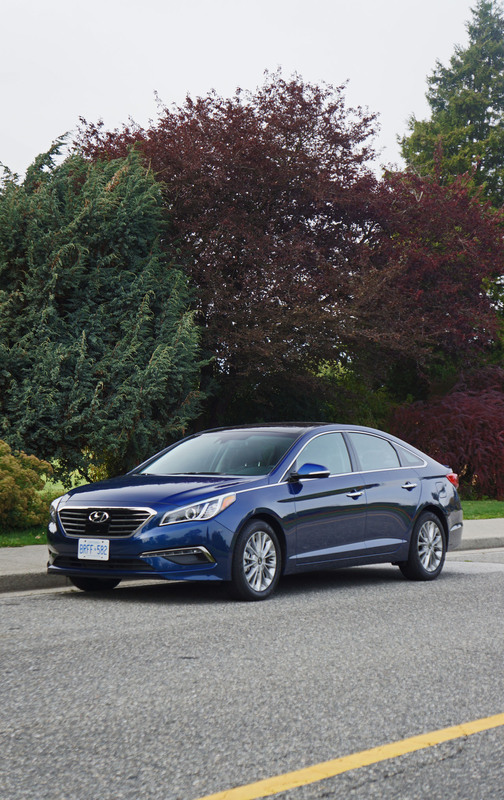 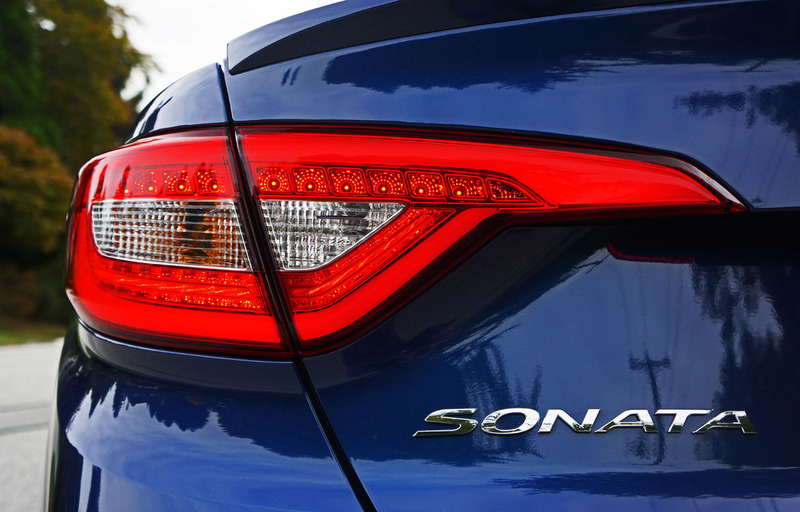 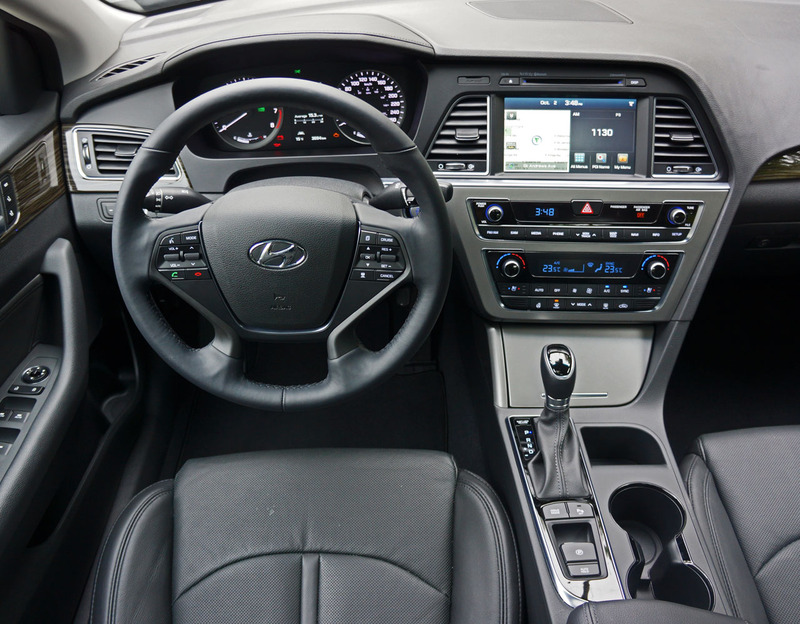 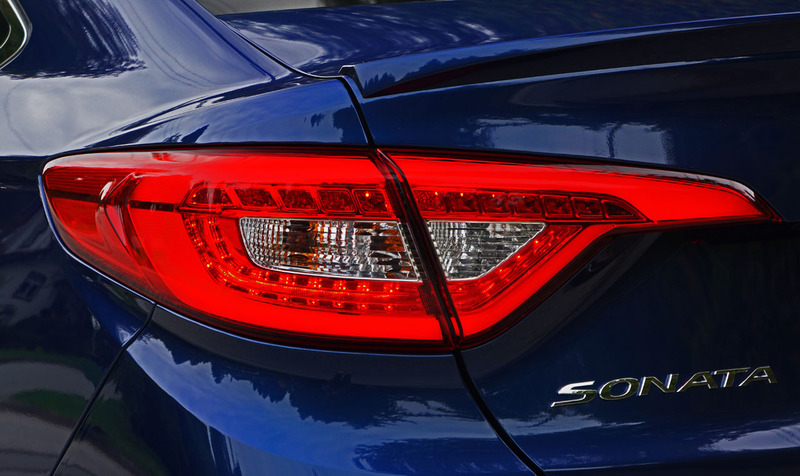 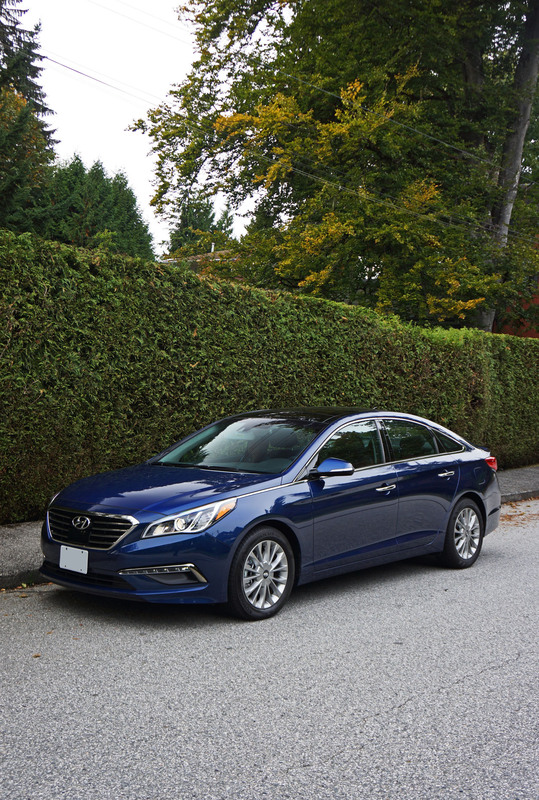 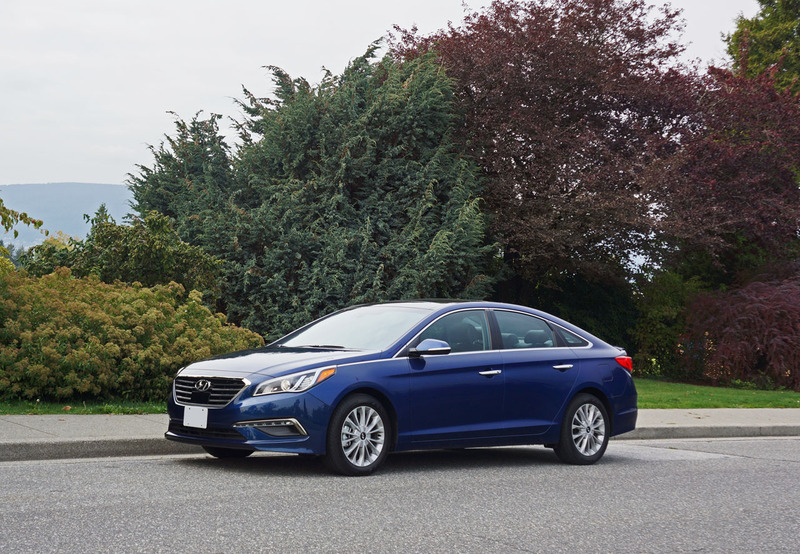 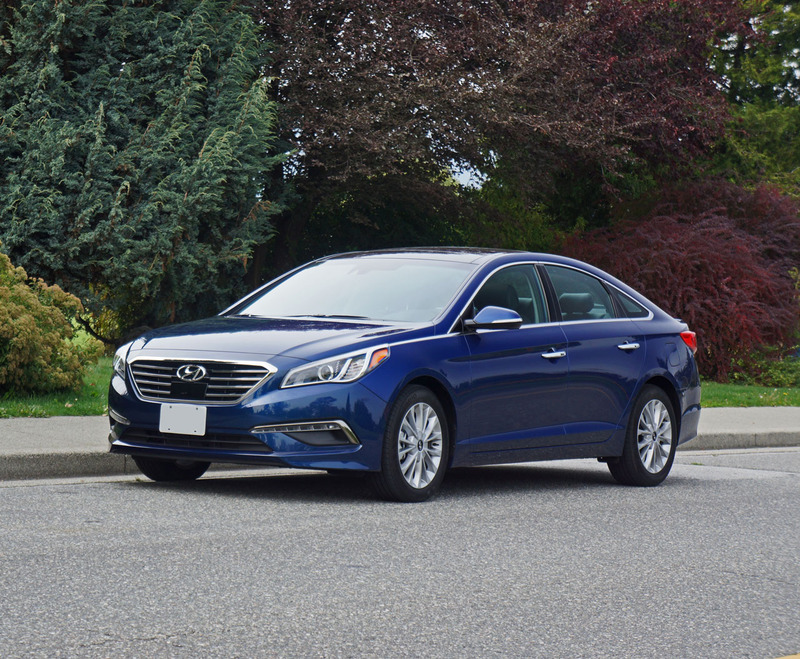 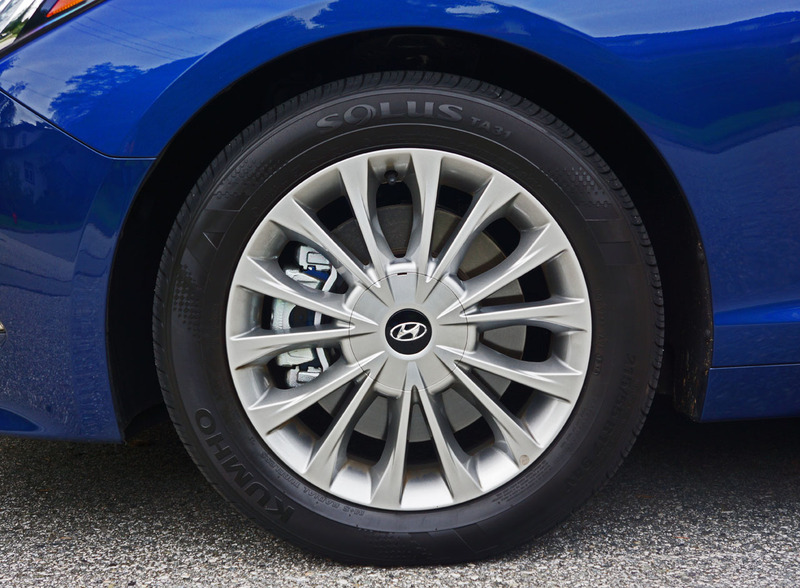 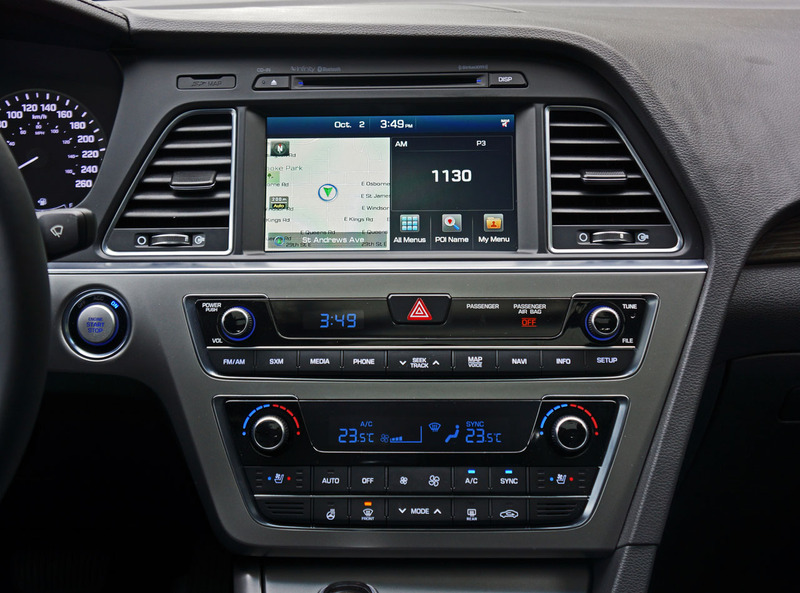 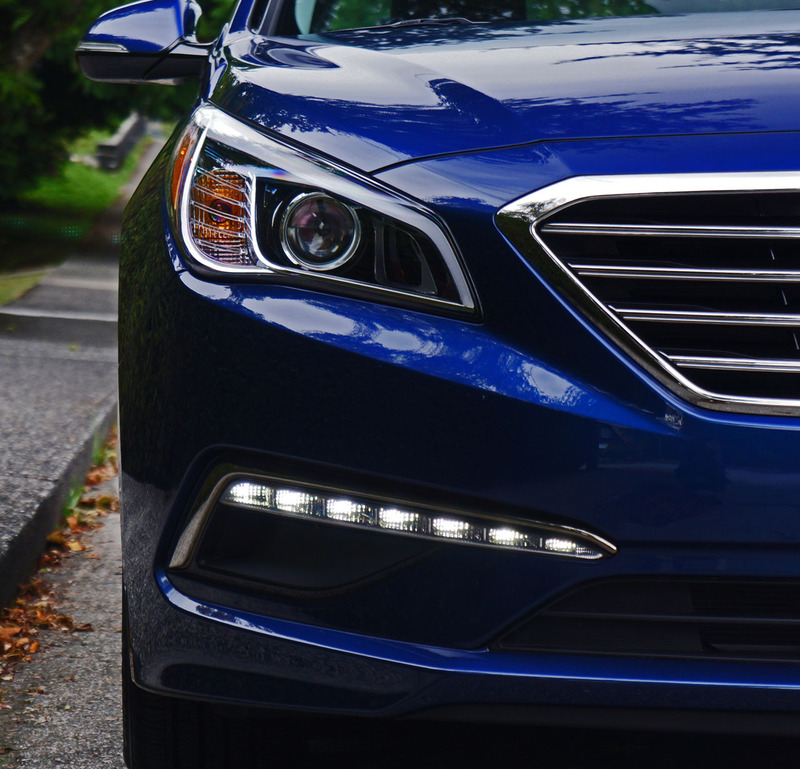 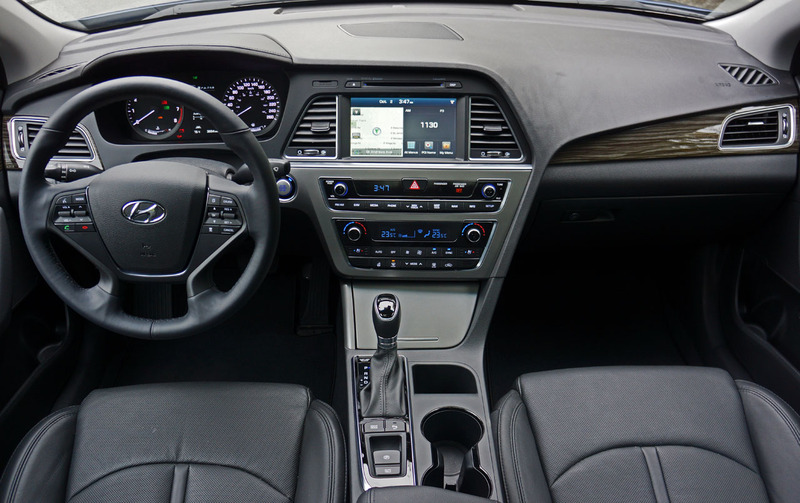 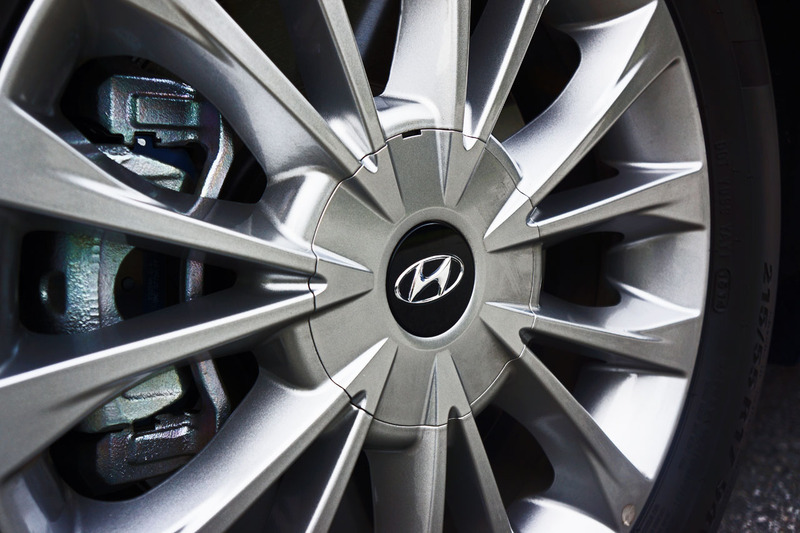 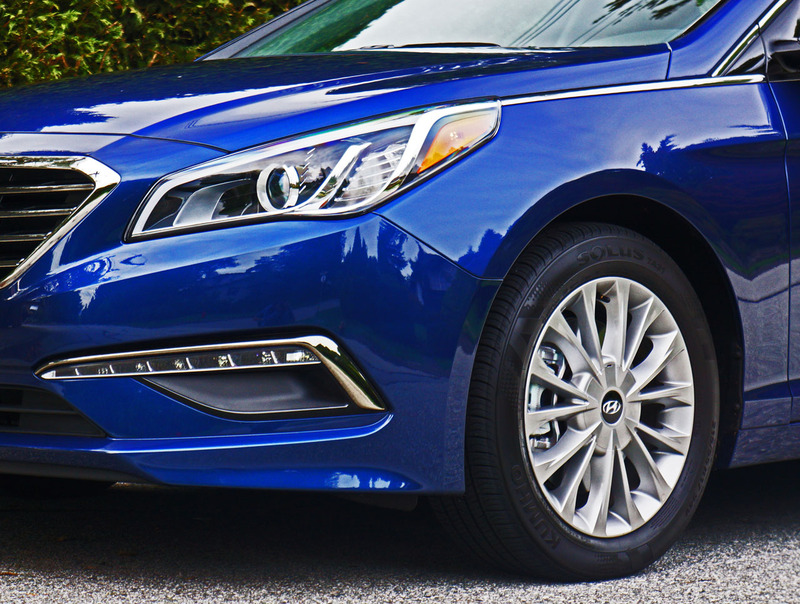 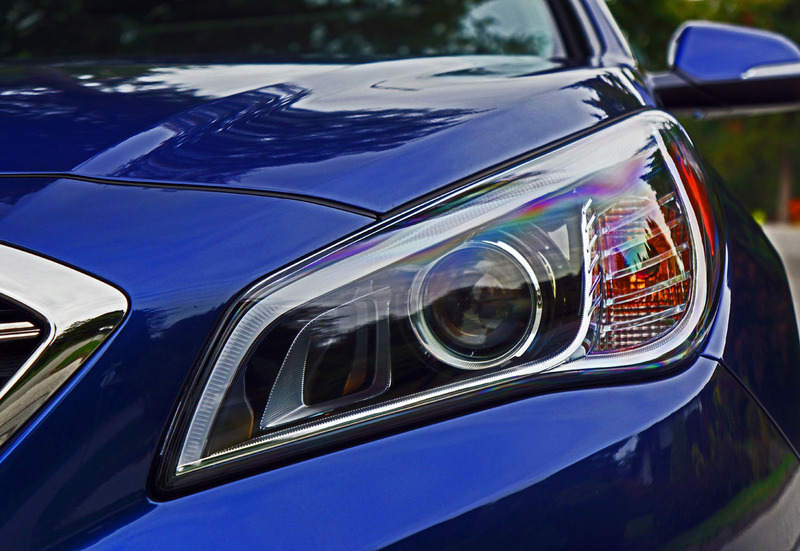 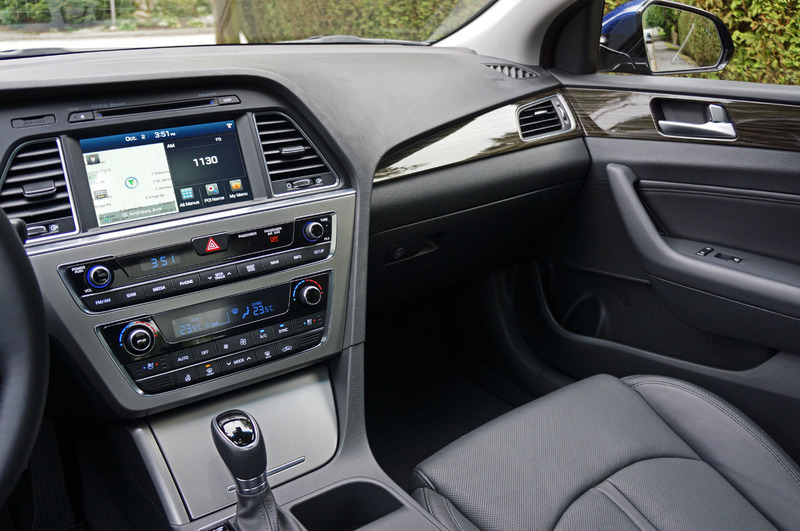 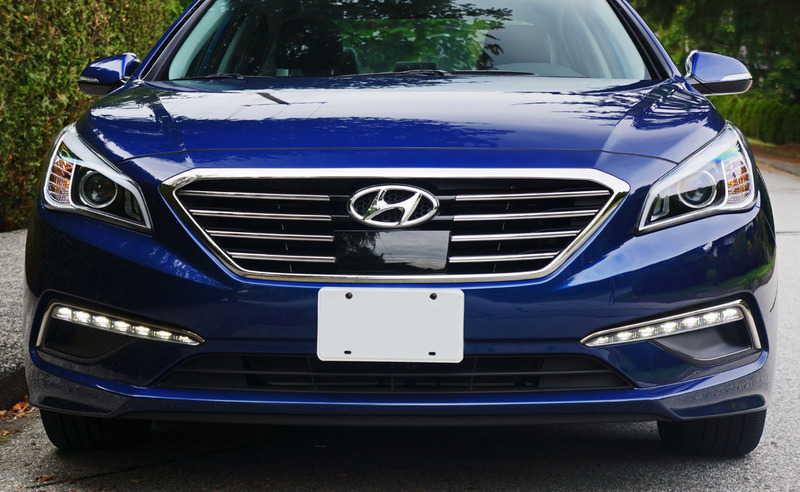 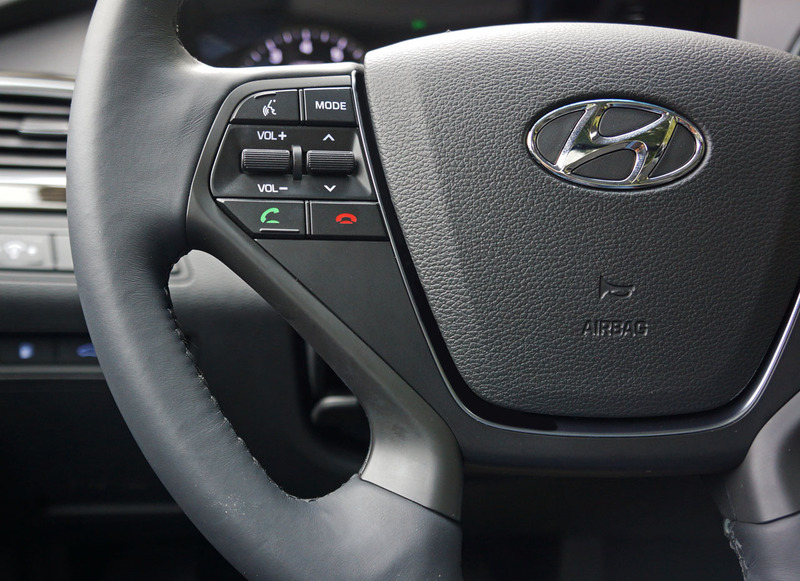 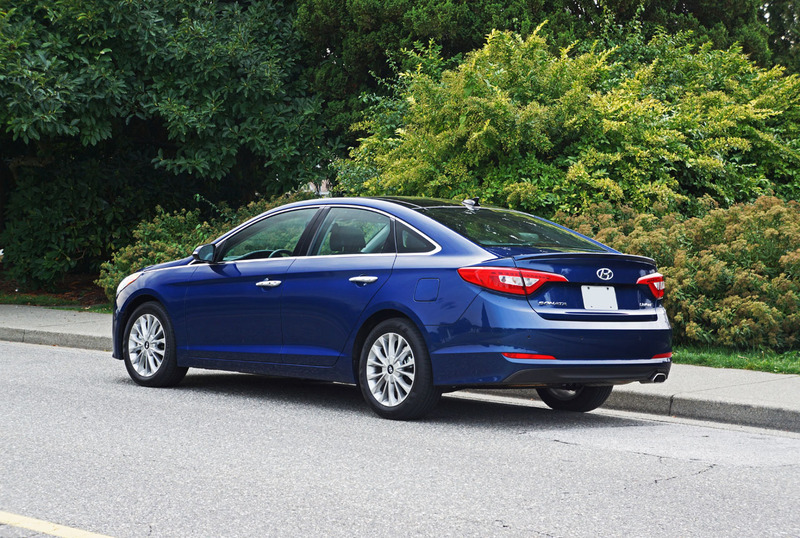 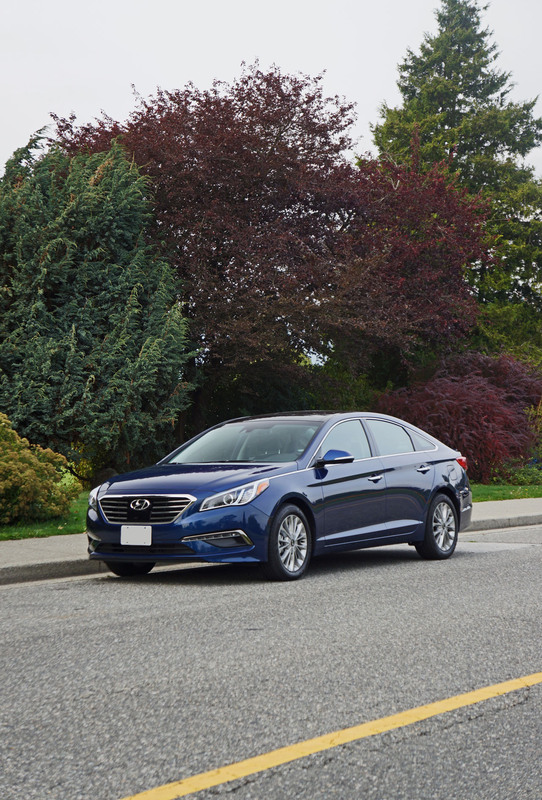 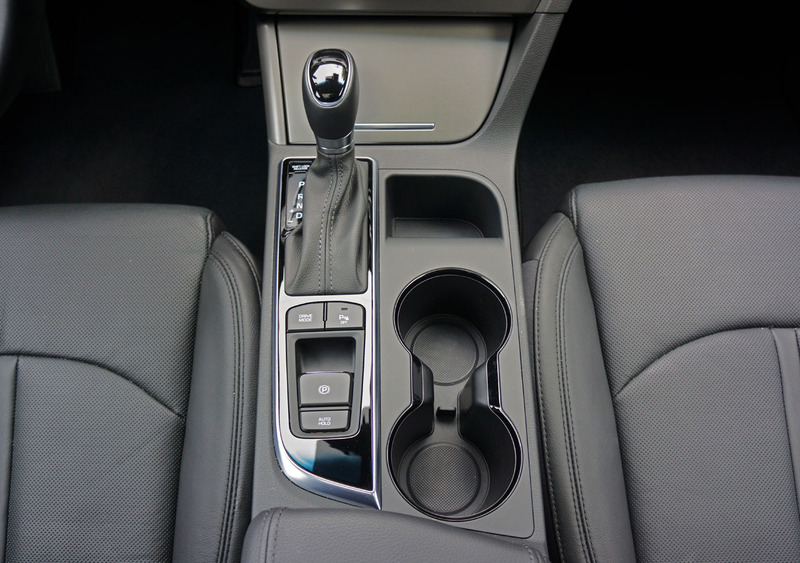 The 2015 Hyundai Sonata is a great choice in the mid-size family sedan segment.